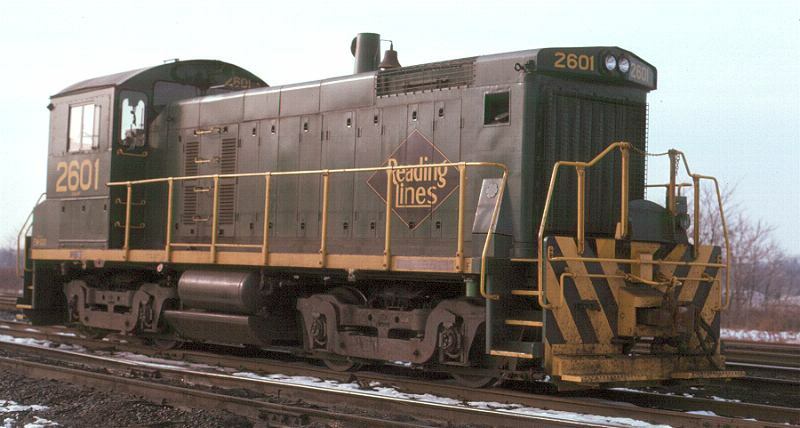 In the days of railroad telegraphy, important locations on the railroads were usually abbreviated with brief codes or symbols. 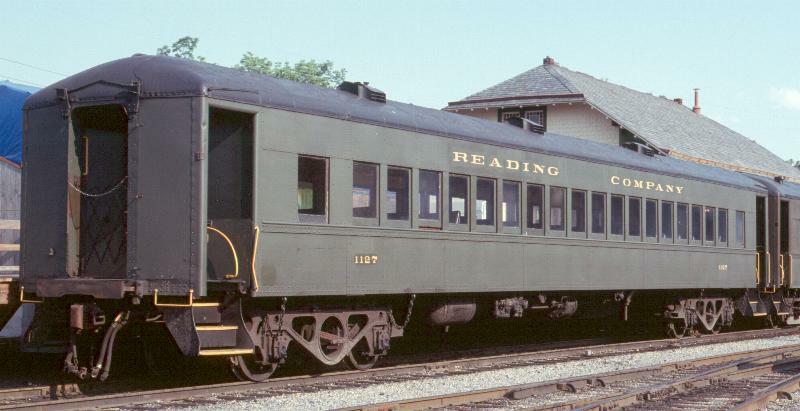 The tables below lists some Reading codes from September 26, 1948. 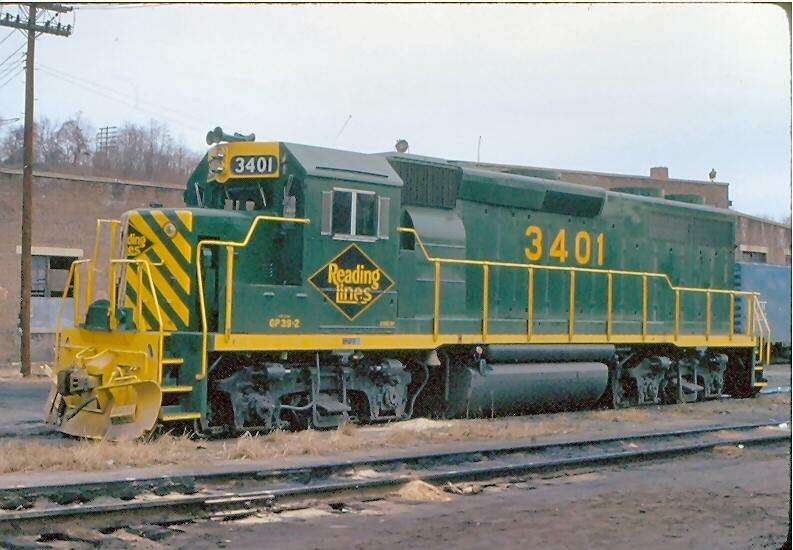 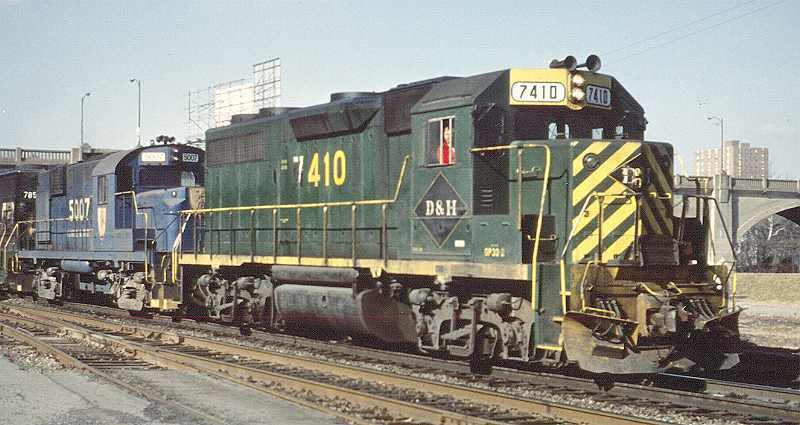 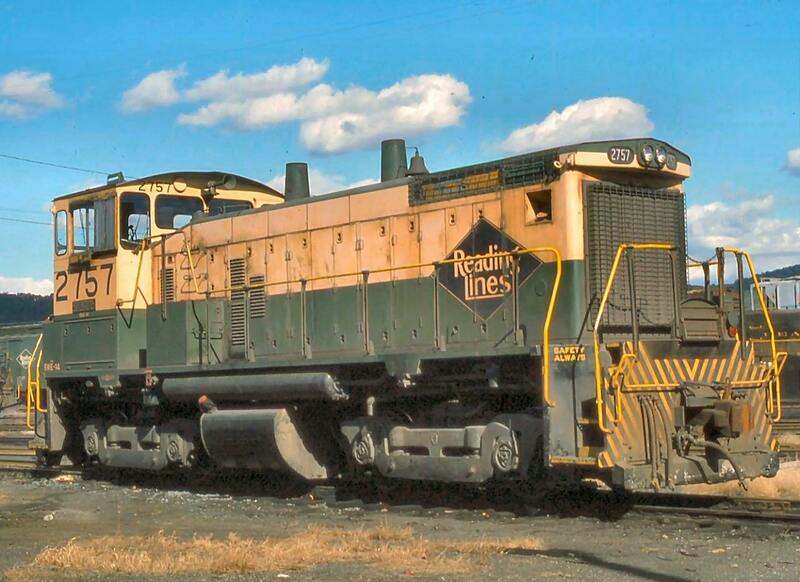 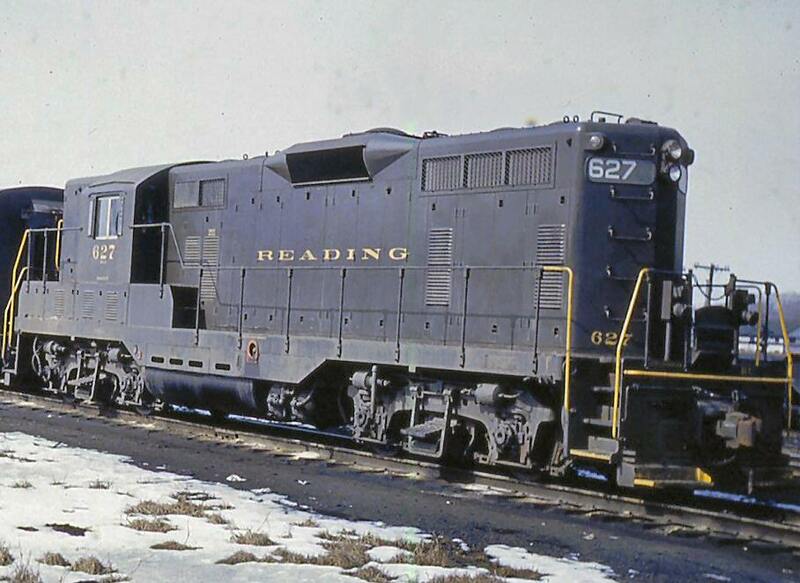 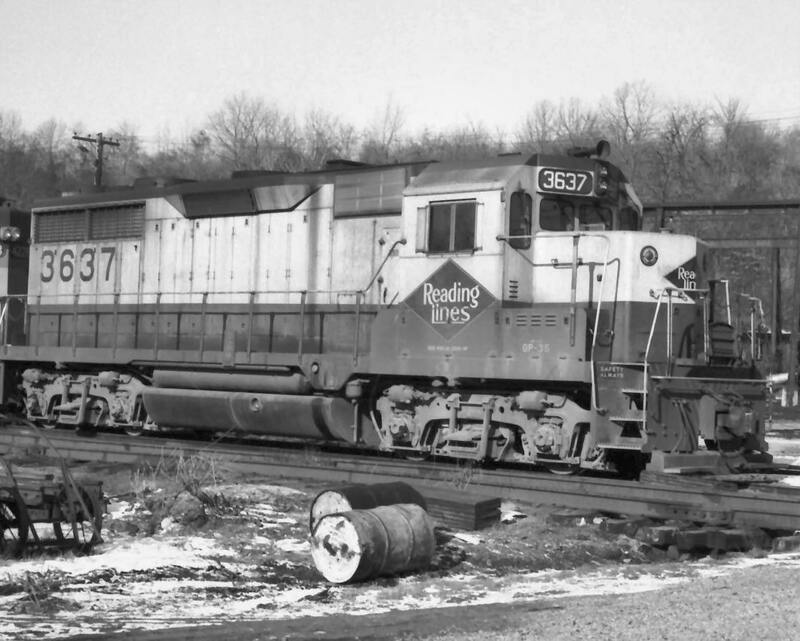 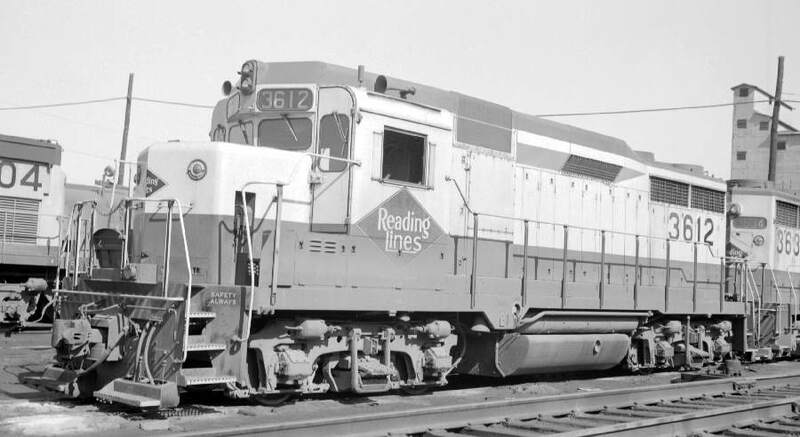 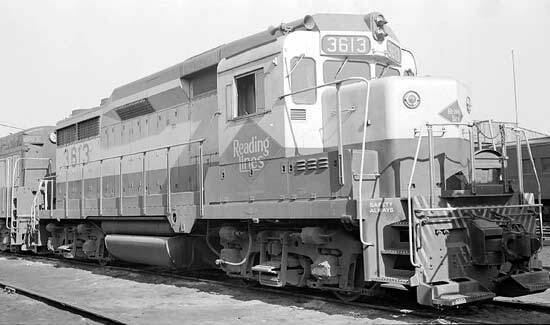 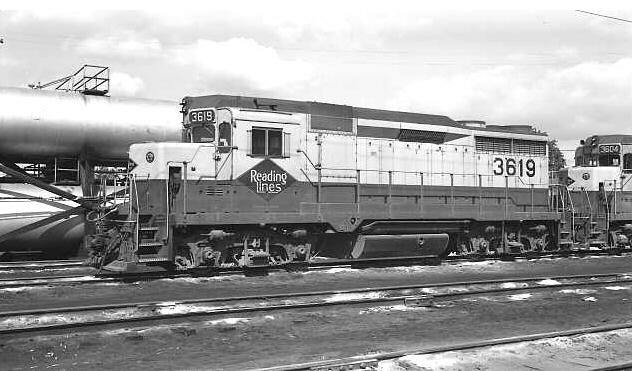 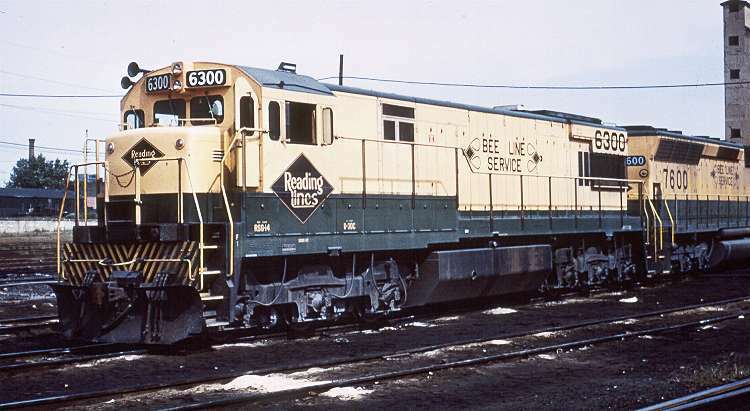 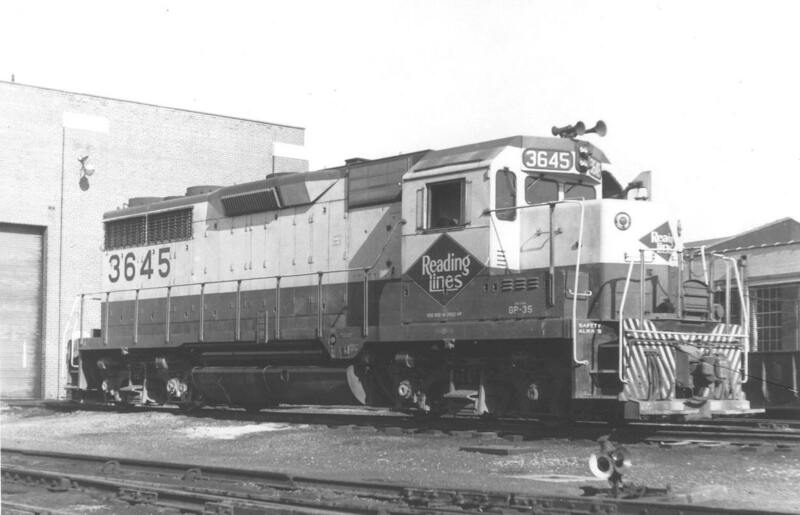 (4-8-4) RDG 9/1945 2100 to Streigel Equipment & Supply 1965; to Ross Rowland 1975; to 2100 Corp.
C424 ALCO 11/63 5206 to CR; Delaware & Hudson 1/79 (#452), rebuilt to C424m 5/80; to Springfield Terminal 1988 (#71); to D&H 1991 (#71); to Maine Central 1992 (#451); to Livonia Avon & Lakeville 1997 (#423), stored? 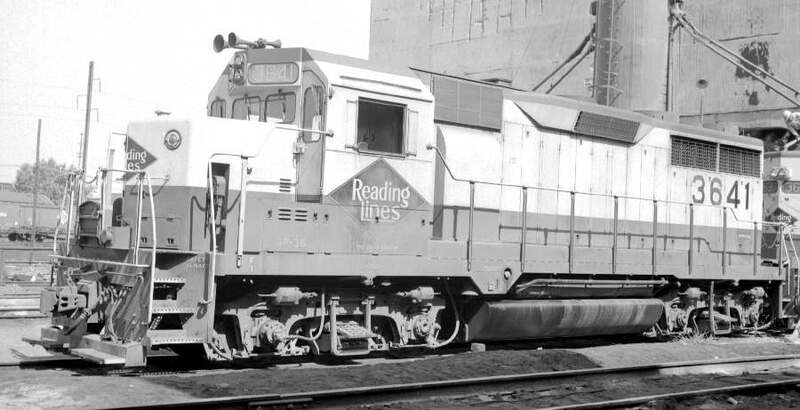 RS-3 ALCO 467 to United Railway Supply? 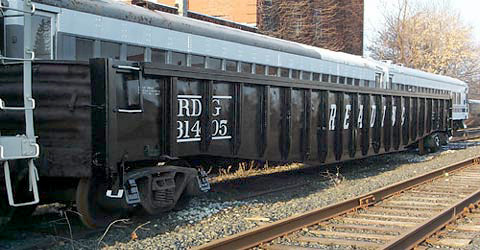 ; to Anthracite RRs Hist. 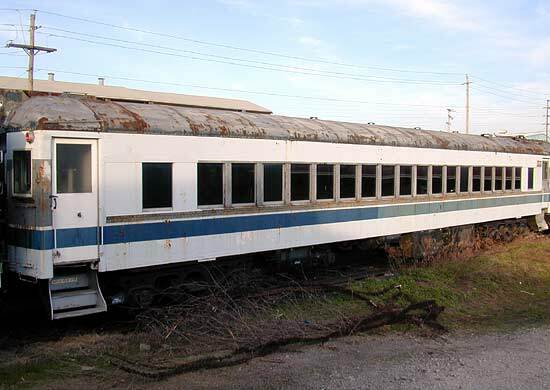 Society, cosmetic restoration? 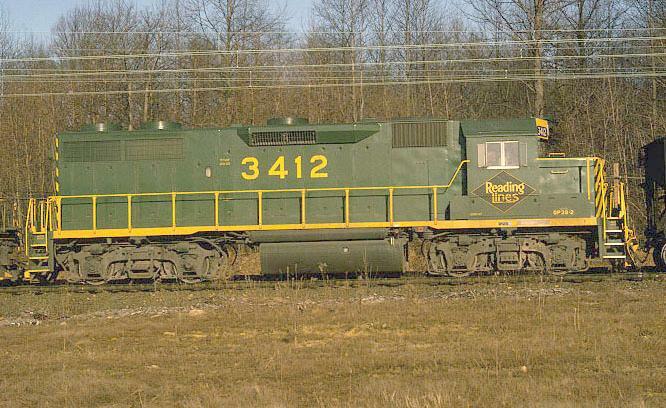 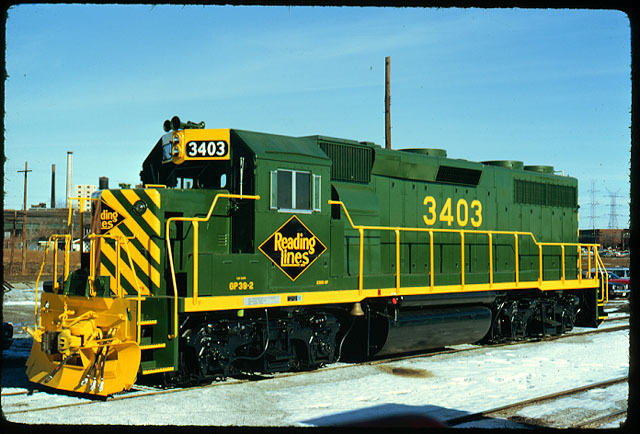 RS-3 ALCO ? 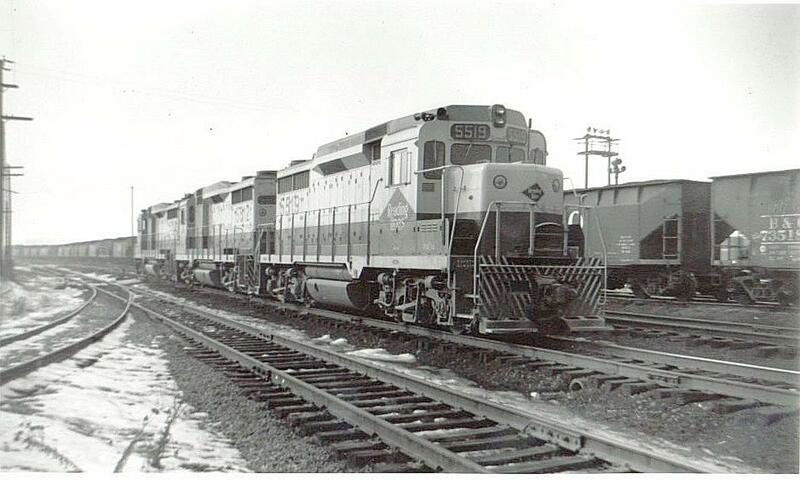 495 to United Railway Supply 1973? 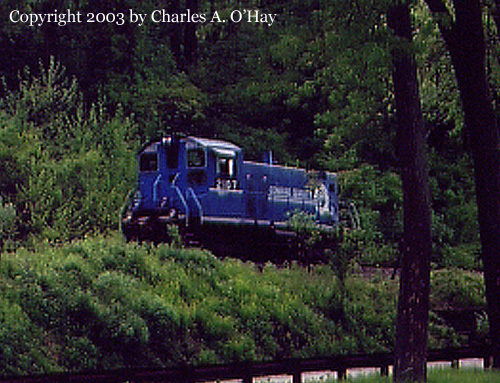 ; to Oglebay Norton Co., Ceredo, WV; to Collis P. Huntington Railway Hist. 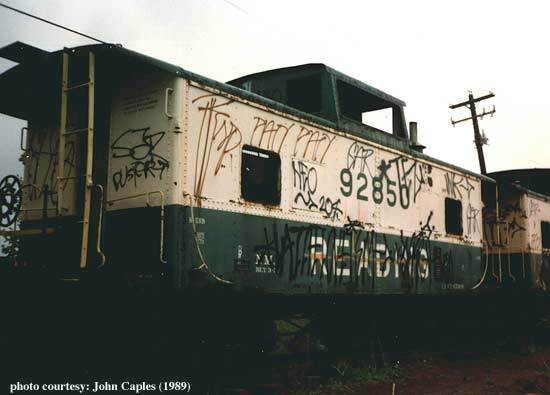 Society 1986: to Lake Shore Hist. 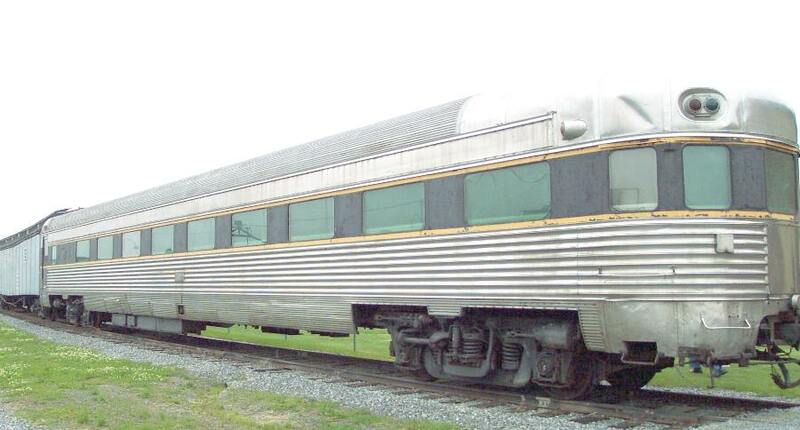 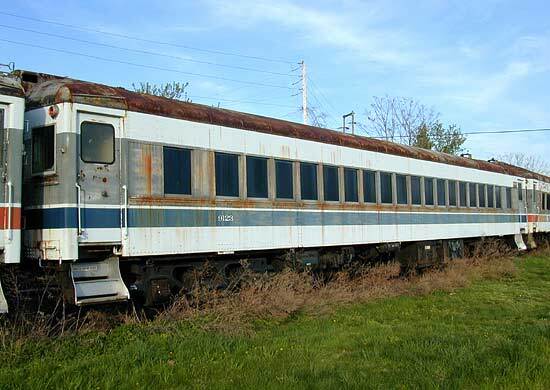 Society; to Southern Appalachia Railway Museum, slated to be repainted into “Tennessee Central” colors? 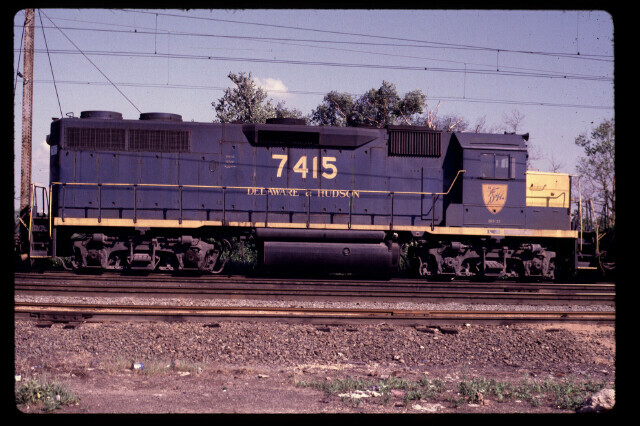 GP7 EMD 627 to ? 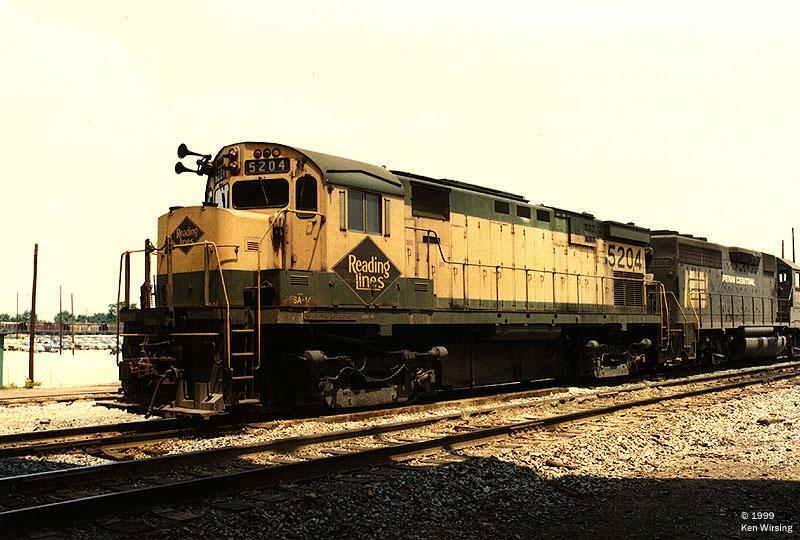 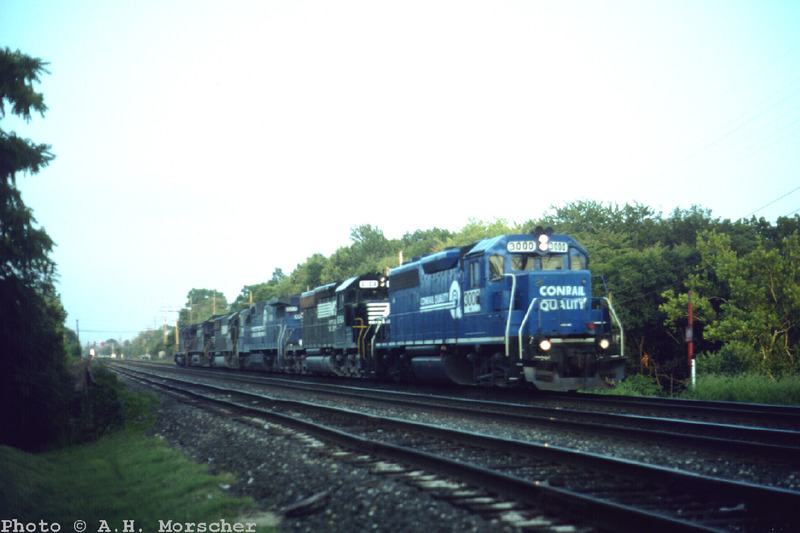 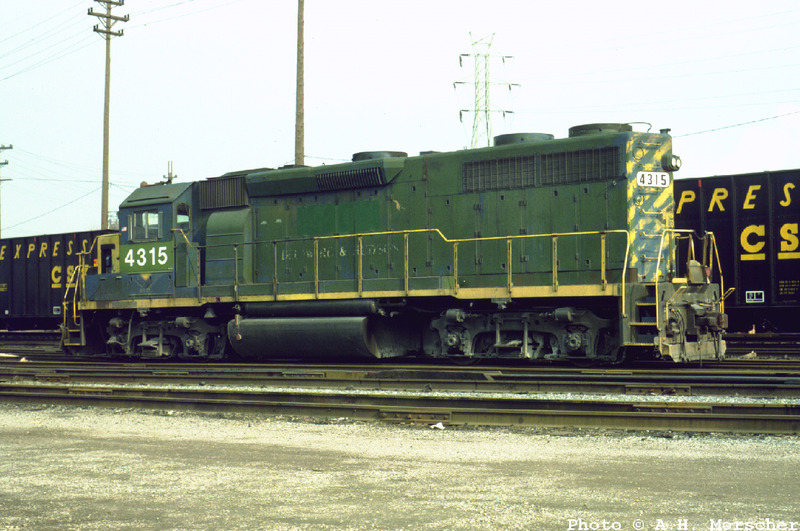 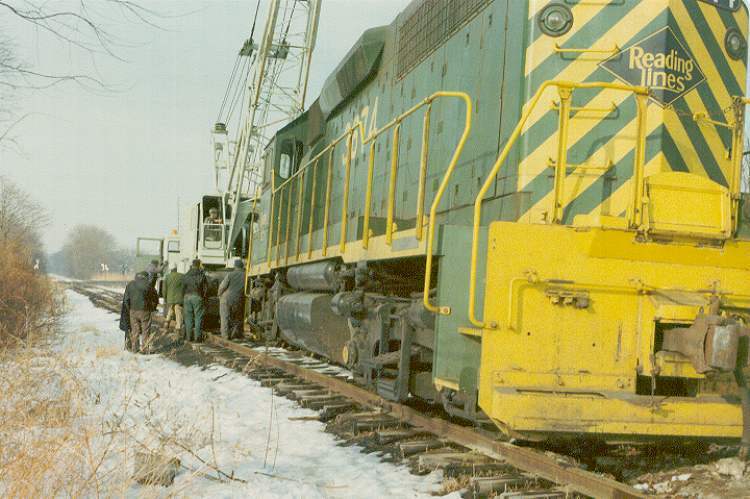 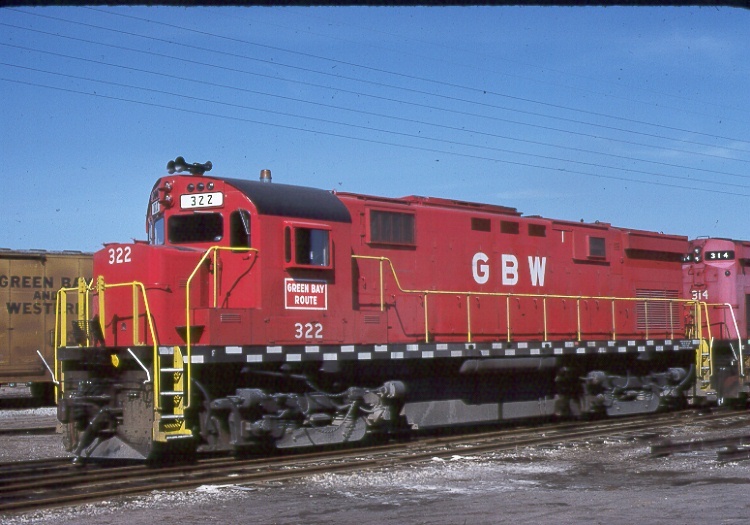 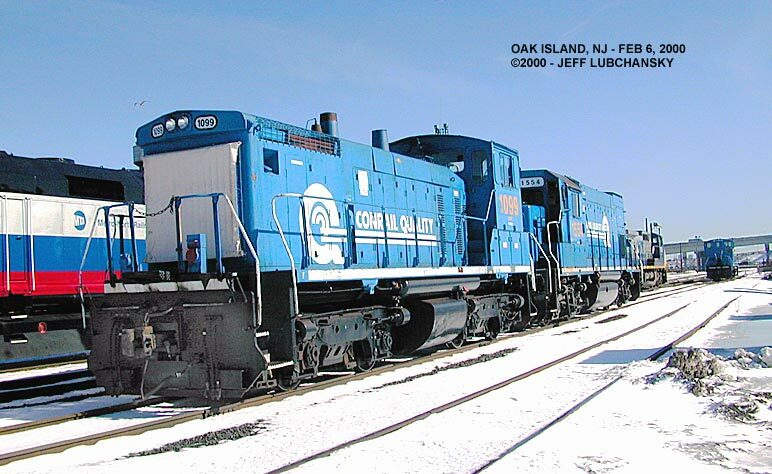 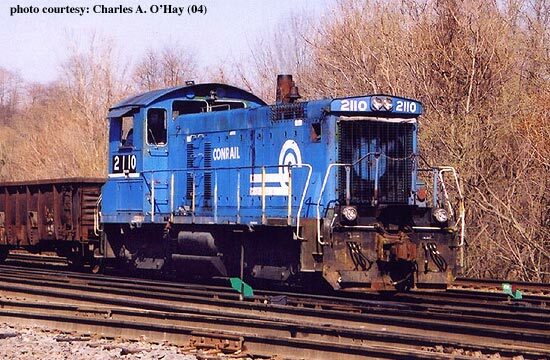 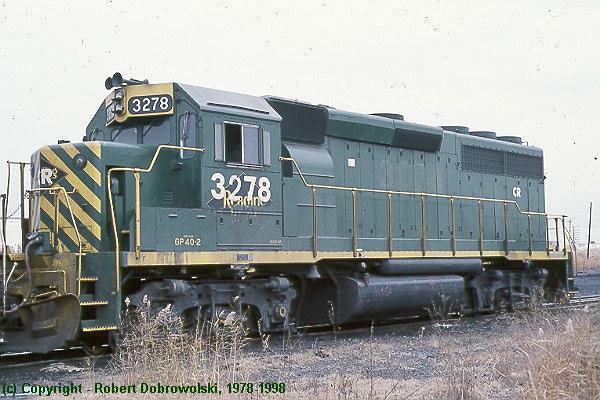 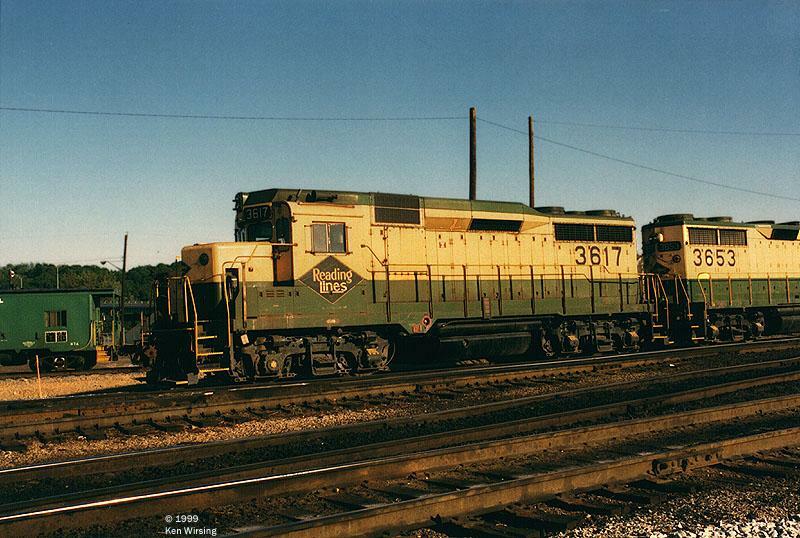 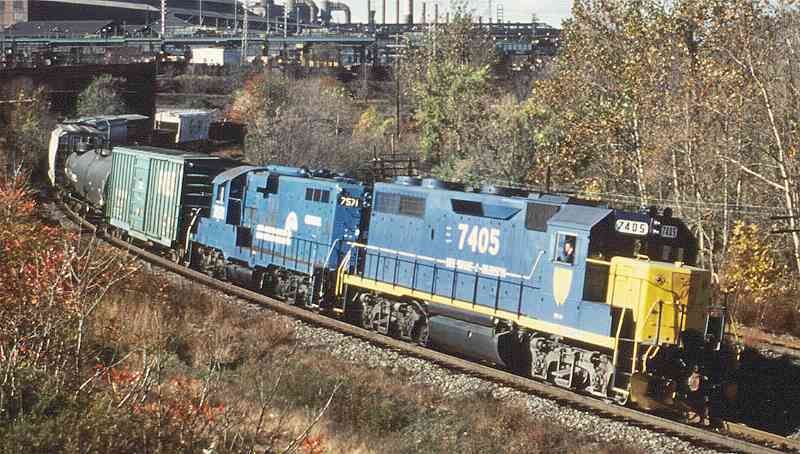 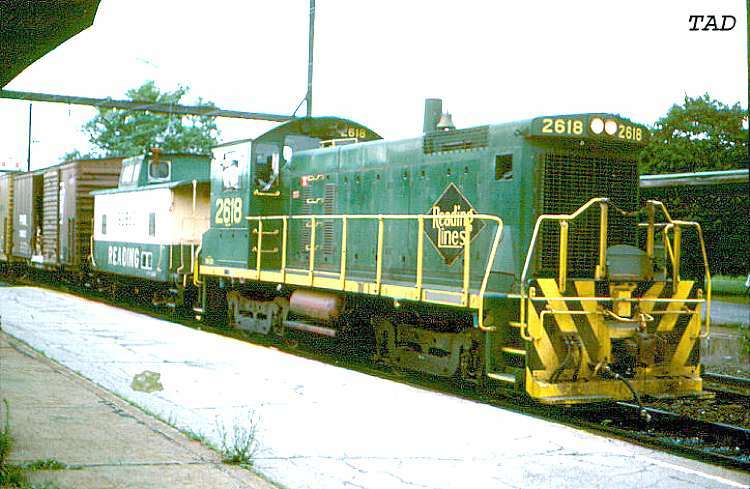 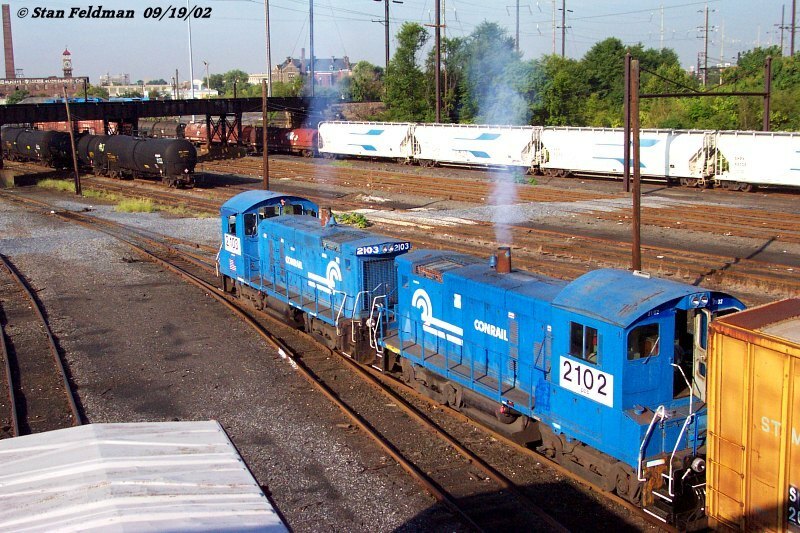 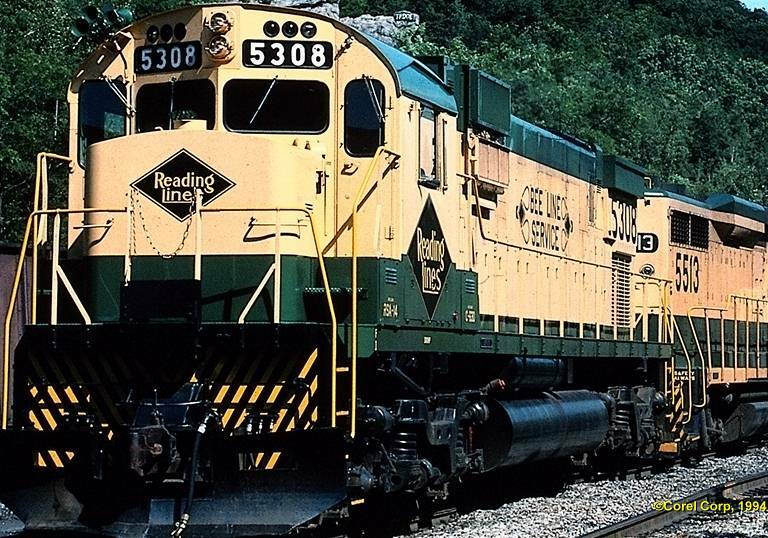 GP30 EMD 7/62 3617 (5517) to CR (#2185), retired 4/91; to Naporano 1997; to LTE lease fleet; to Indiana Northeast (#2185)? 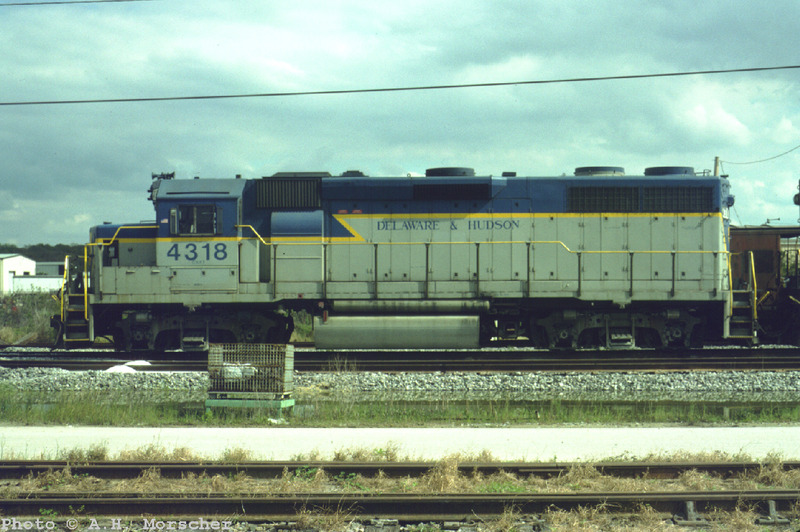 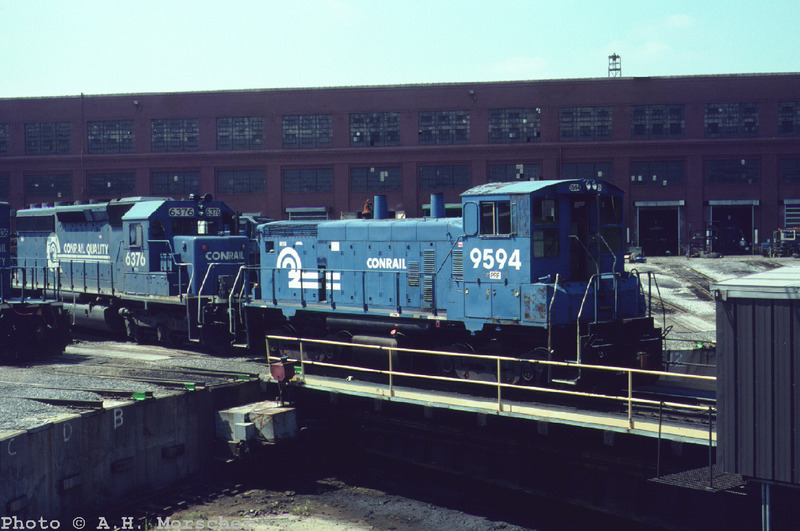 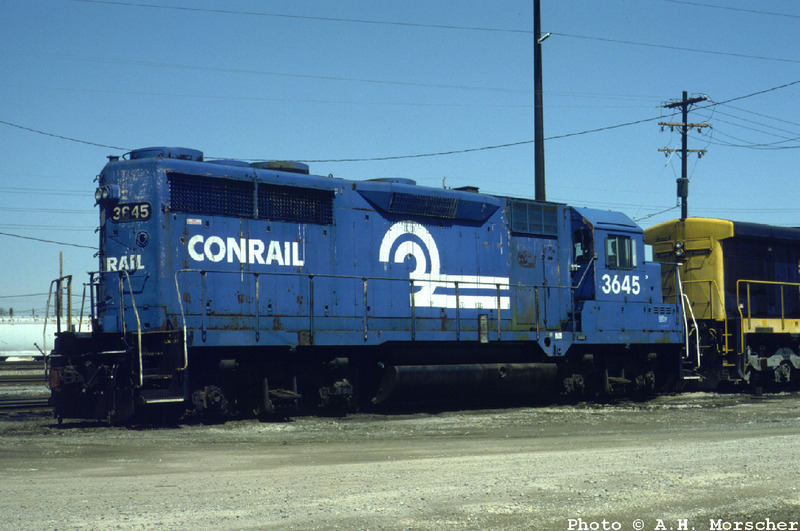 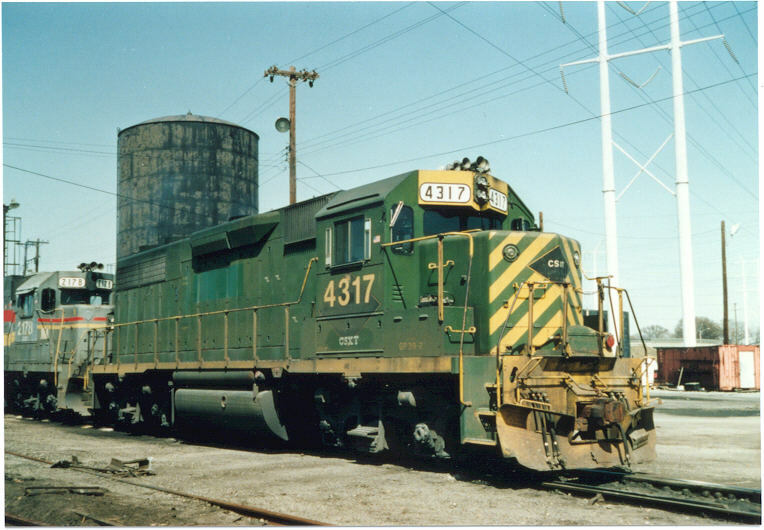 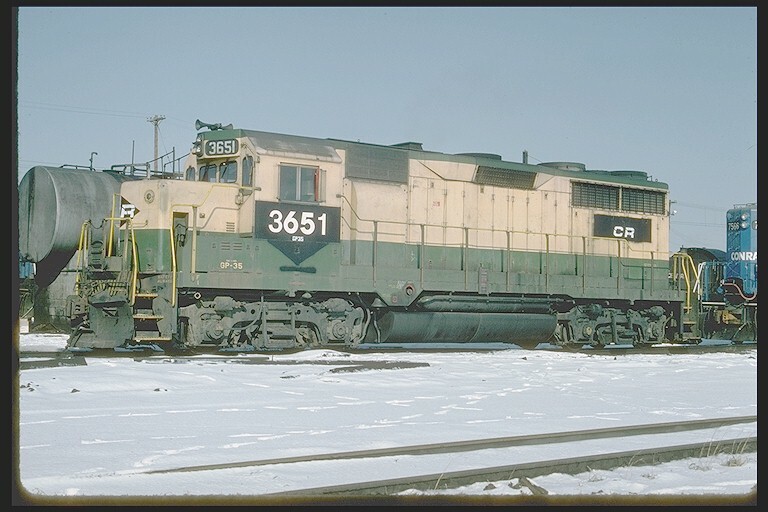 GP35 EMD 8/64 3645 to CR (#3645), still extant? 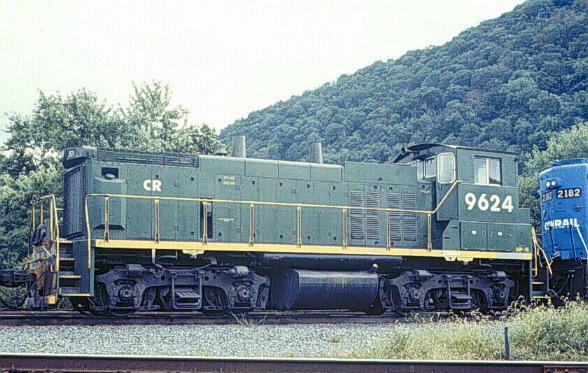 MP15DC EMD ? 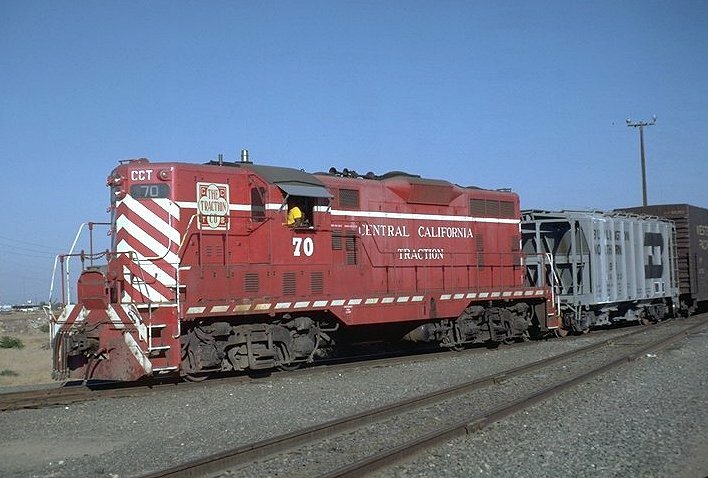 2770 to CR (#9620); to ? 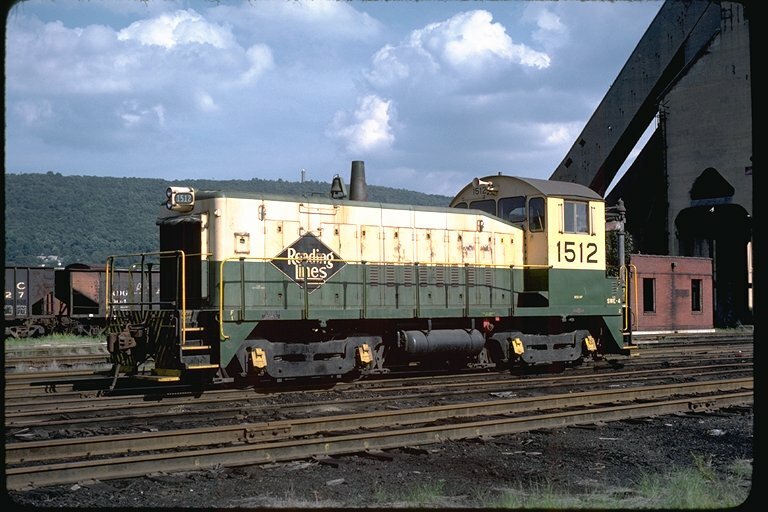 MP15DC EMD ? 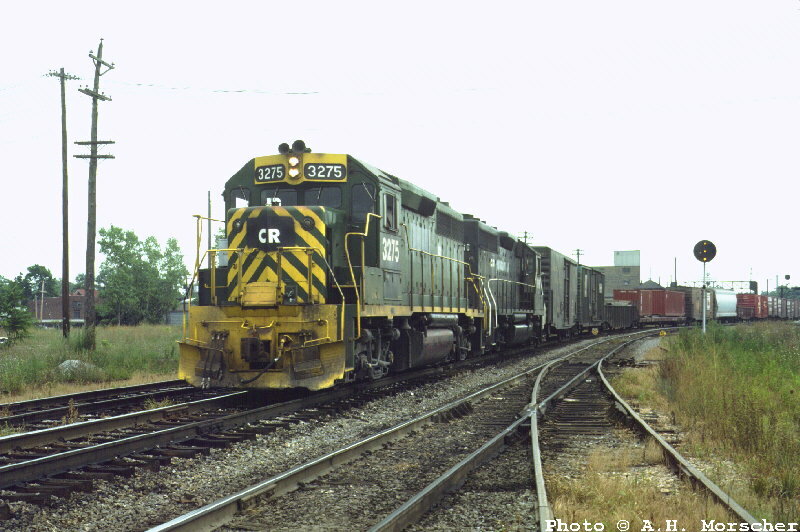 2771 to CR (#9621); to ? 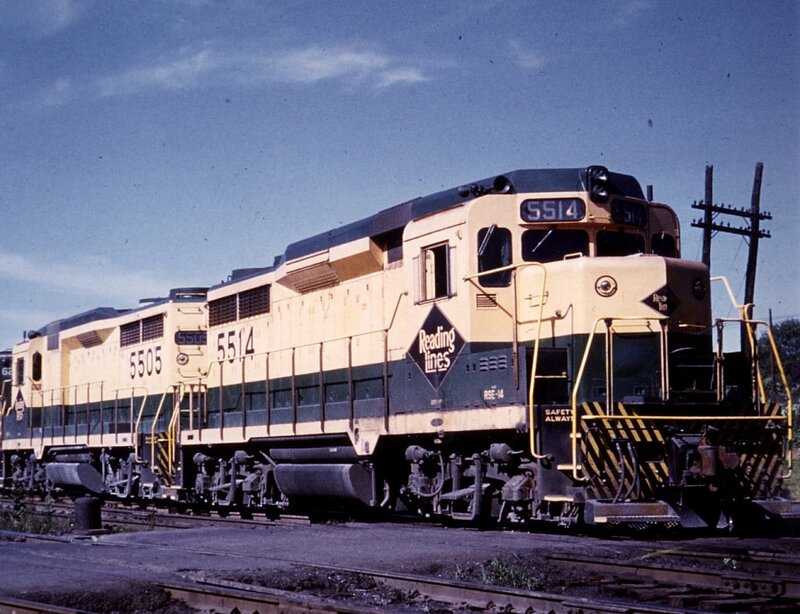 MP15DC EMD ? 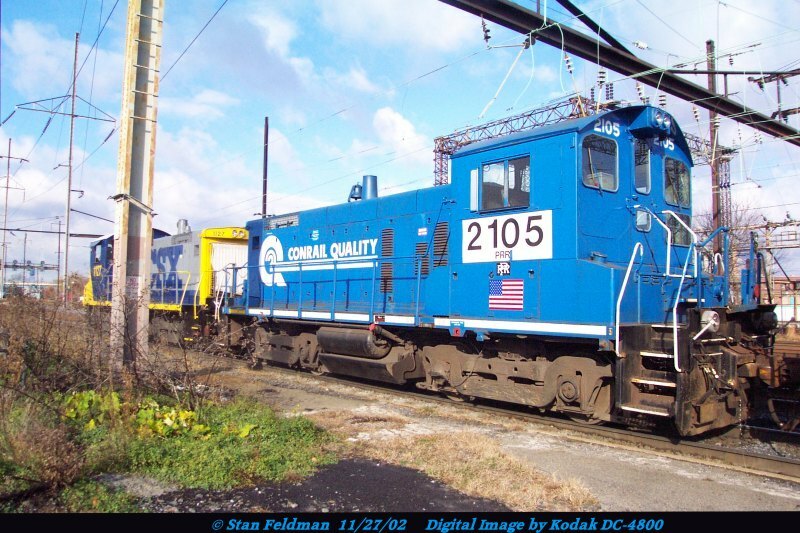 2772 to CR (#9622); to ? 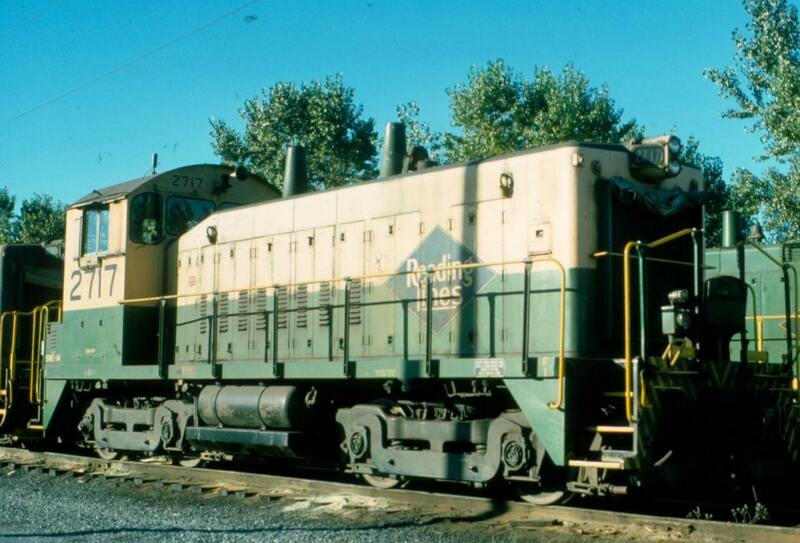 MP15DC EMD ? 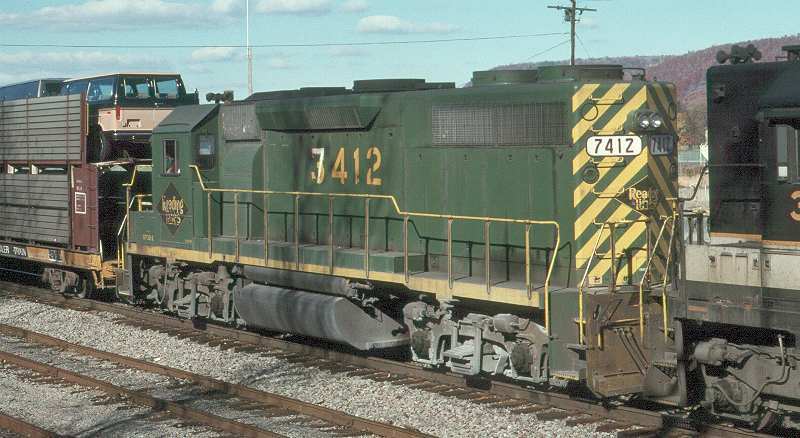 2774 to CR (#9624); to ? 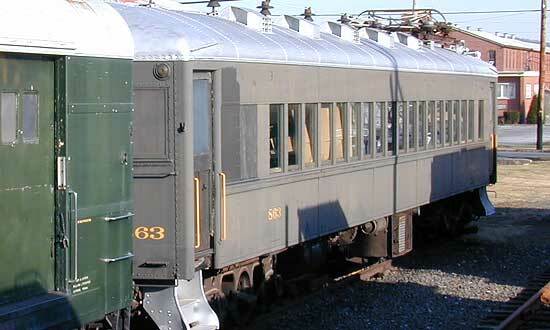 MP15DC EMD ? 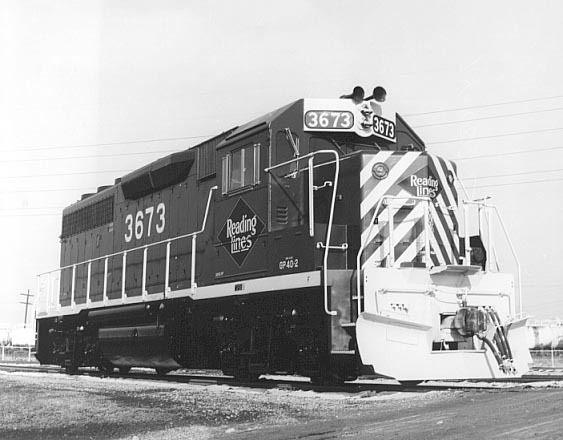 2778 to CR (#9628); to ? 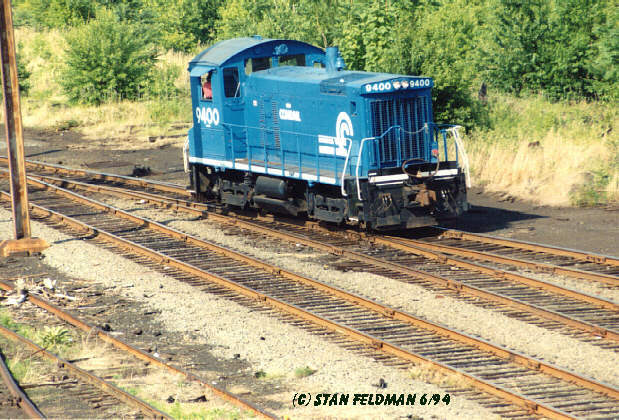 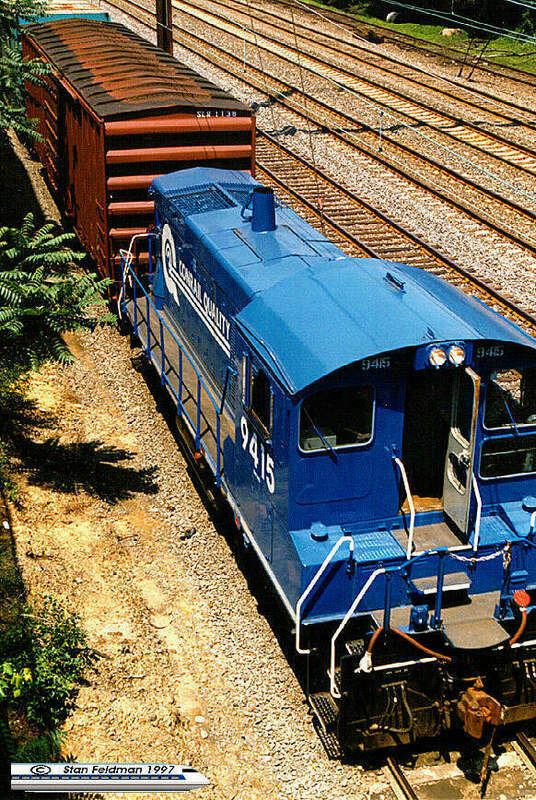 SW900 EMD 9/61? 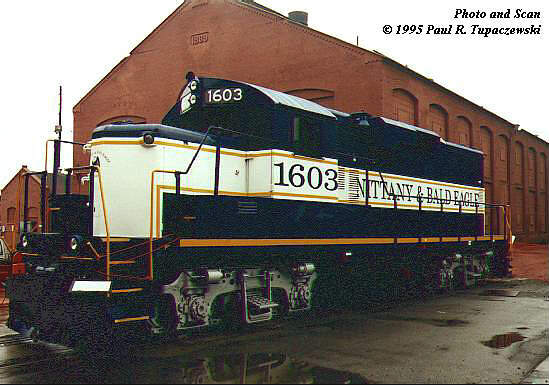 1505 to CR (#8705); still extant? 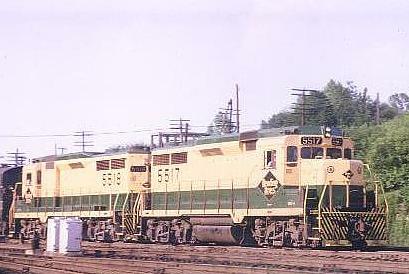 SW900 EMD 9/61? 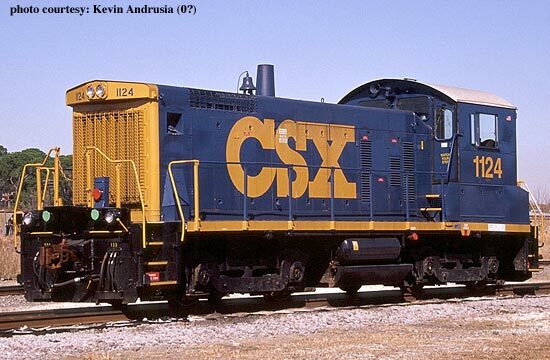 1512 to CR (#8712); still extant? 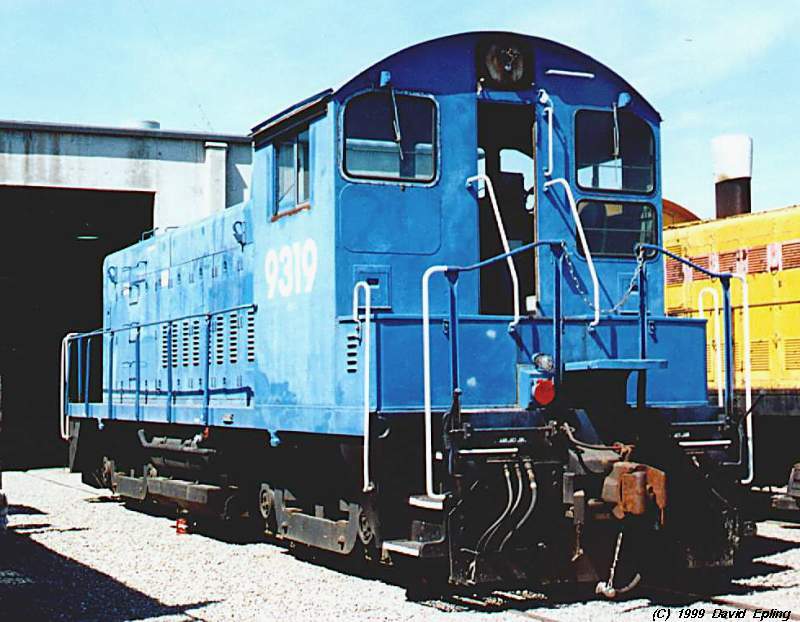 SW900 EMD 9/61? 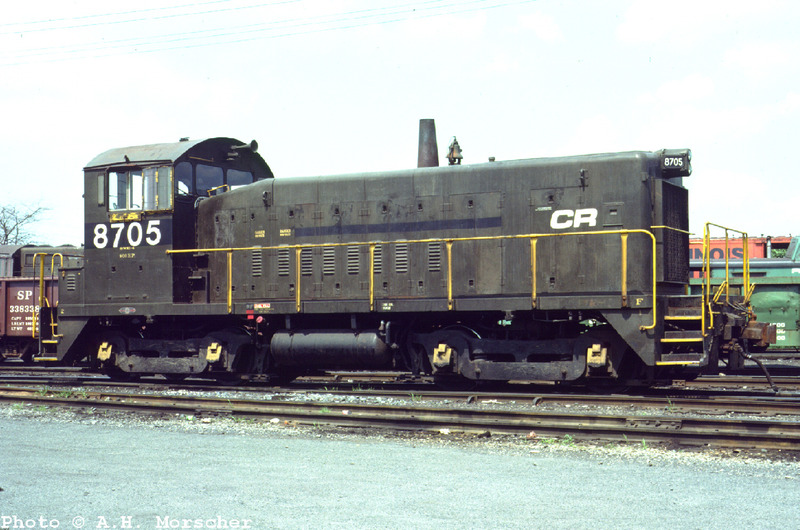 1516 to CR (#8716); still extant? 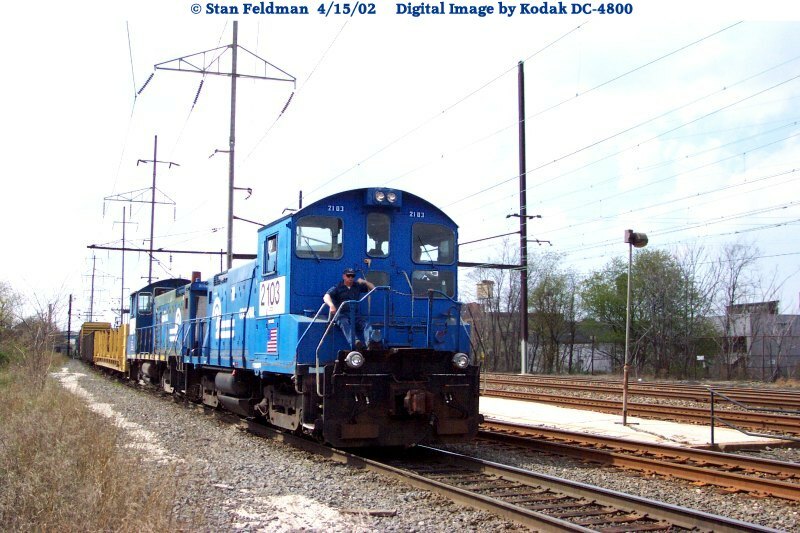 SW1200 EMD ? 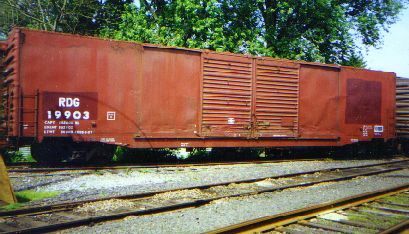 2718 to CR (#9318); to ? 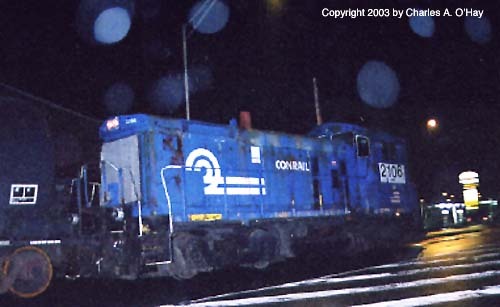 SW1500 EMD 8/66 2761 to CR (#9611); to NS 1999? 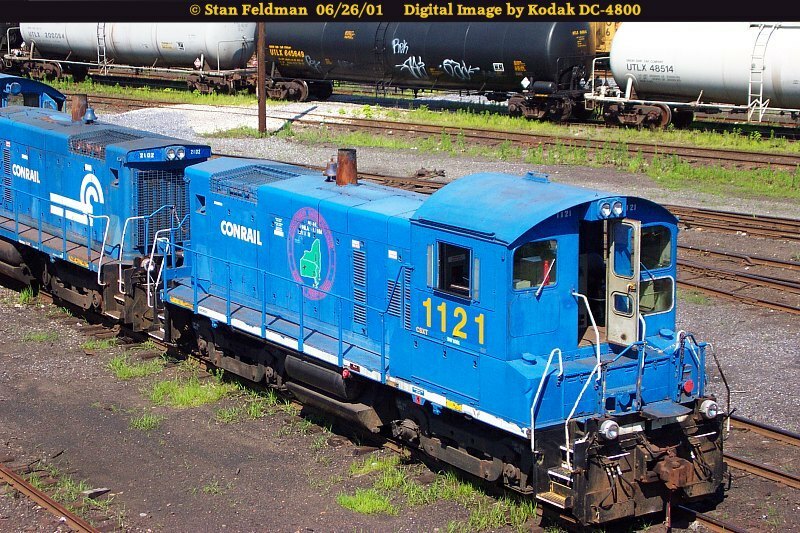 (#2240); sold 10/01? 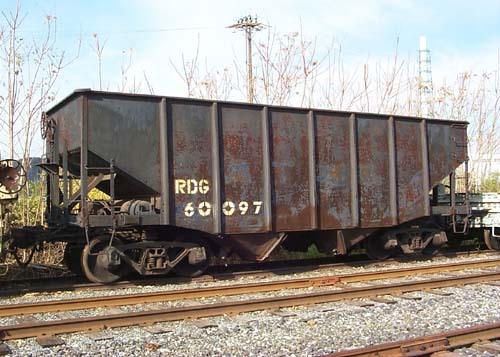 RDC-? 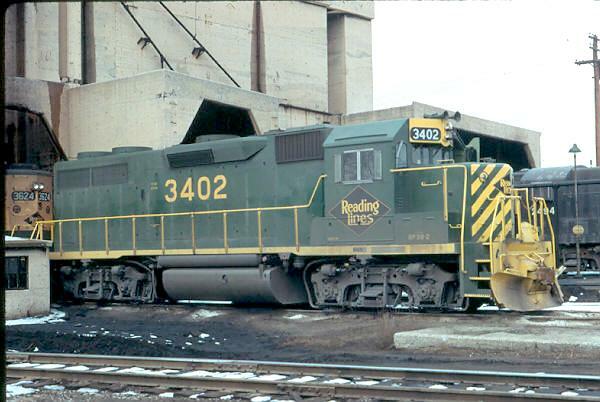 Budd ? 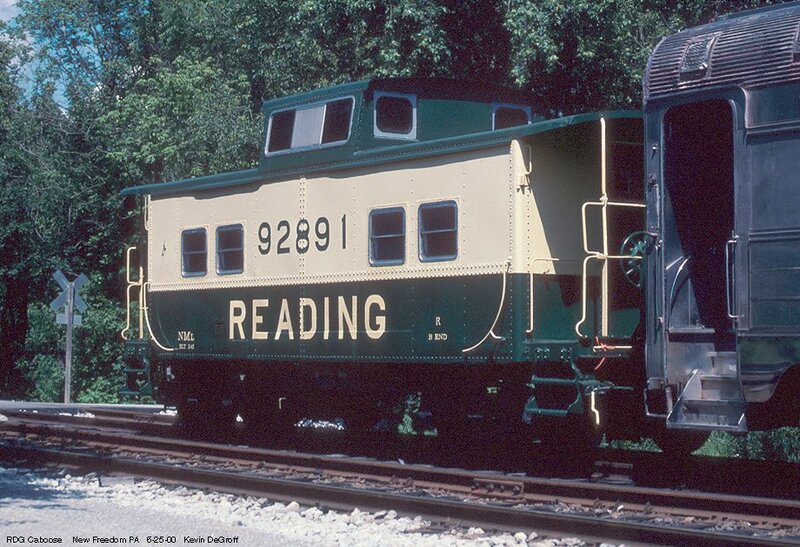 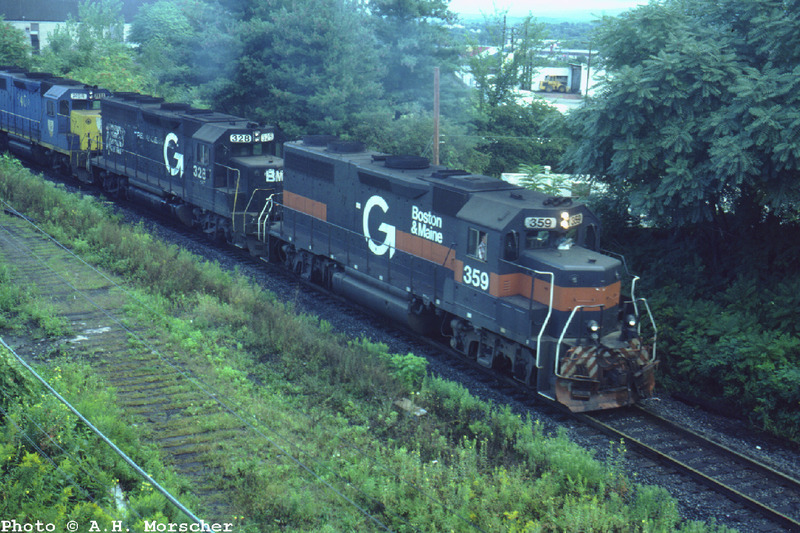 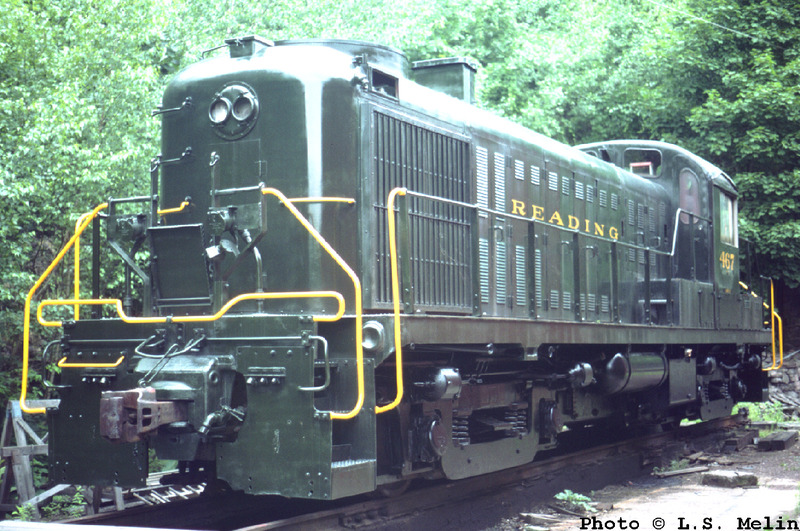 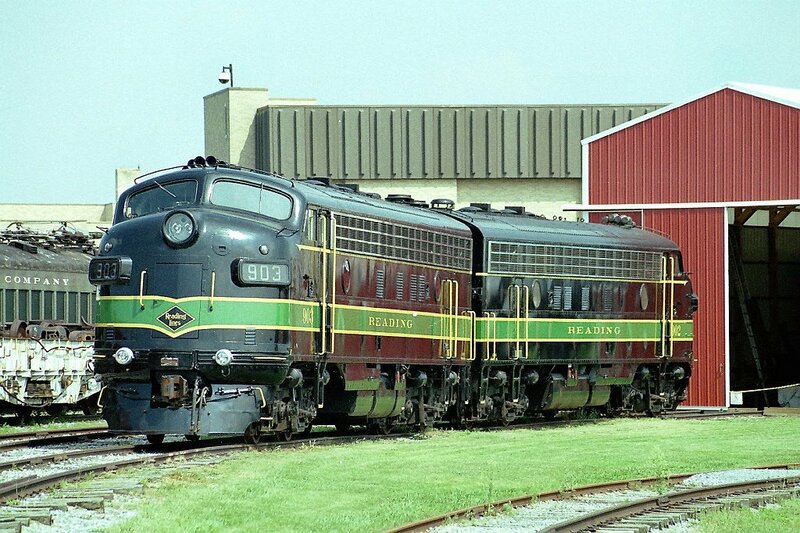 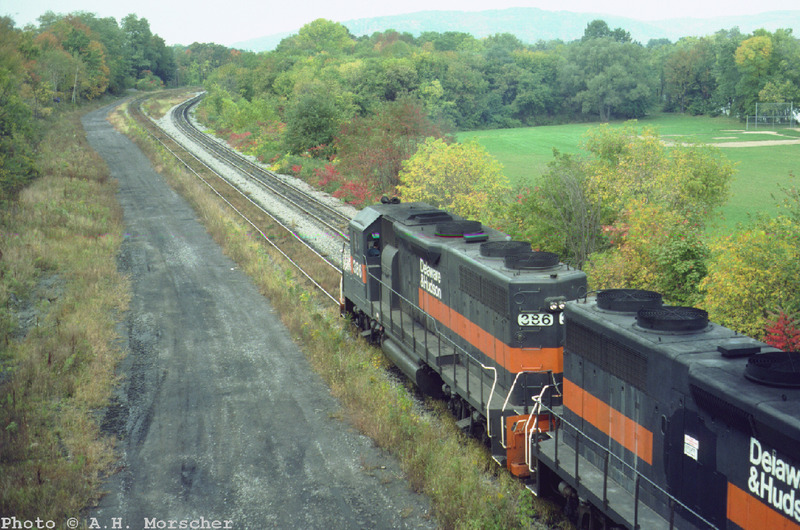 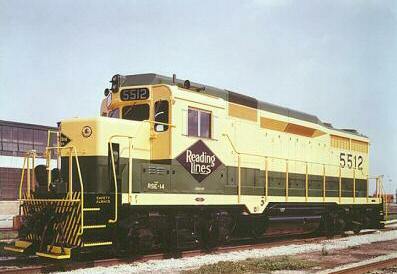 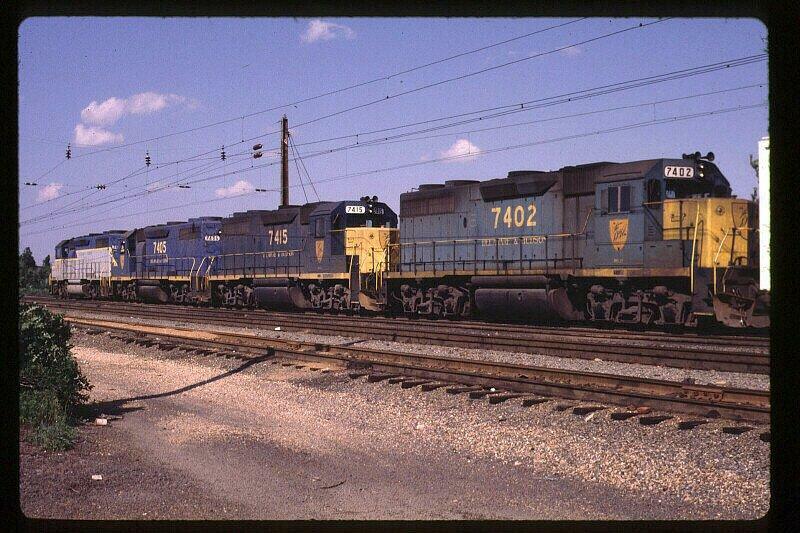 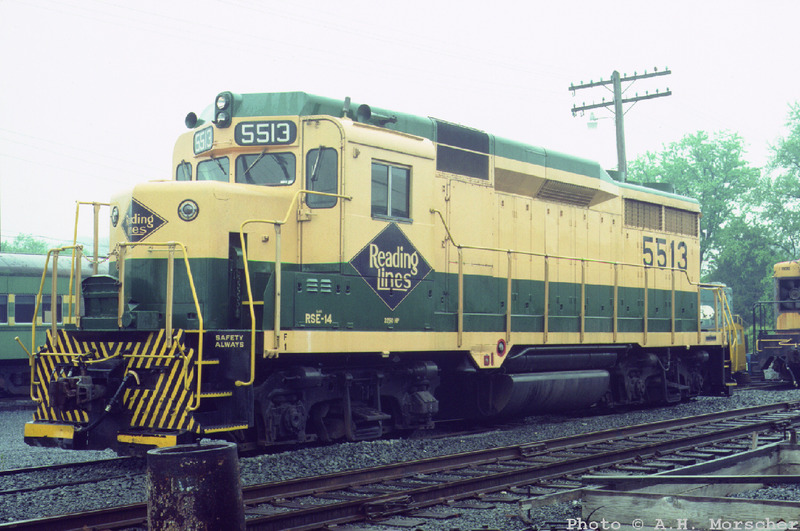 9163 built for LV (#40); to RDG (#9163) 12/62; to SEPTA; to RMPA as LV (#40), Strasburg, PA, cosmetic restoration? 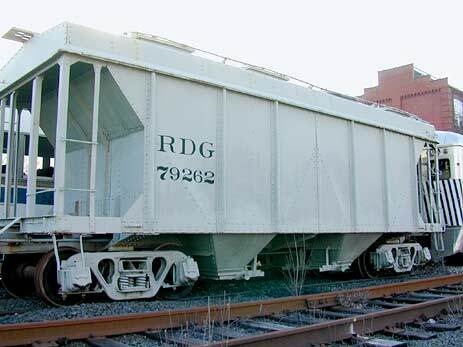 RDC-1 Budd ? 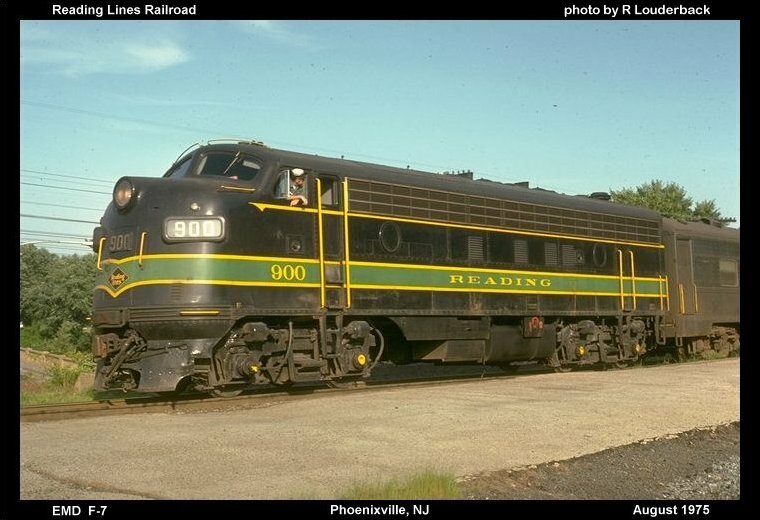 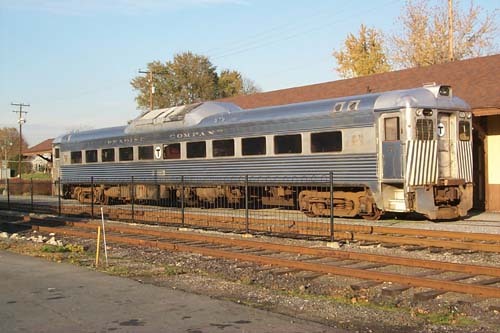 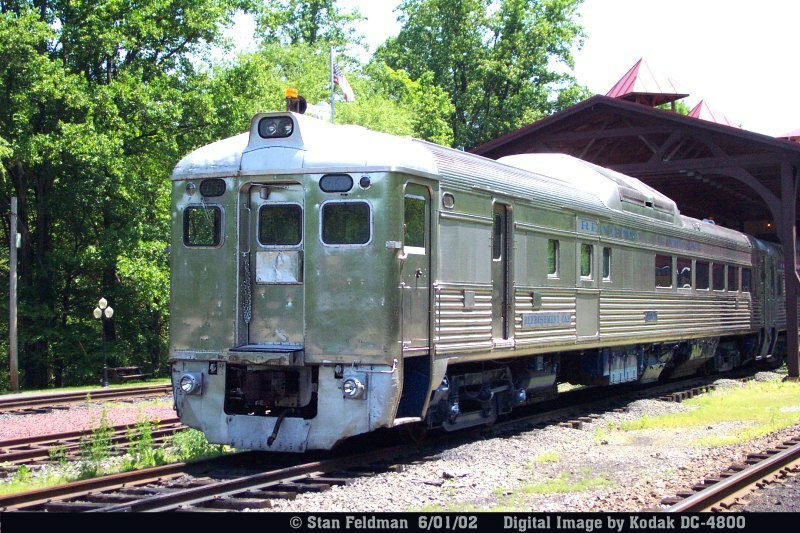 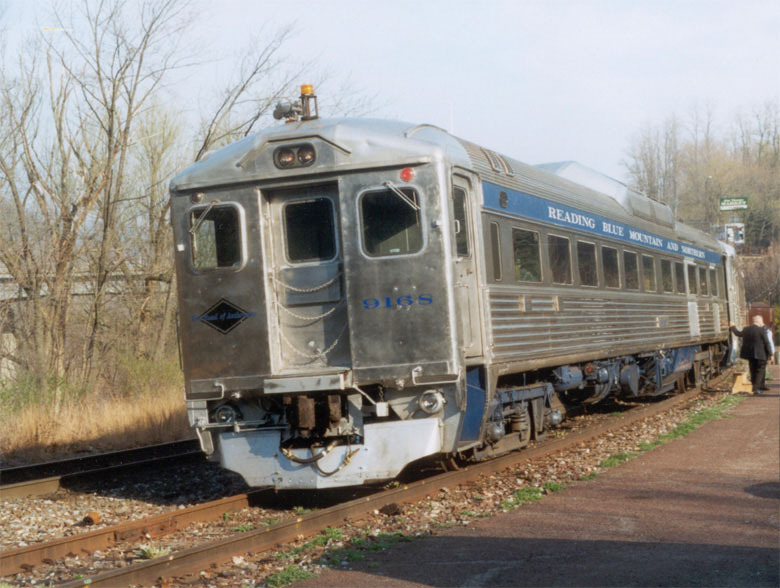 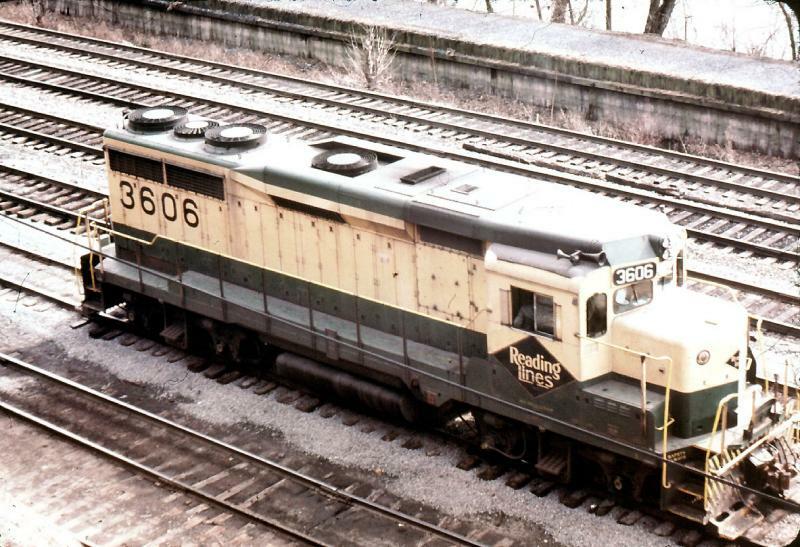 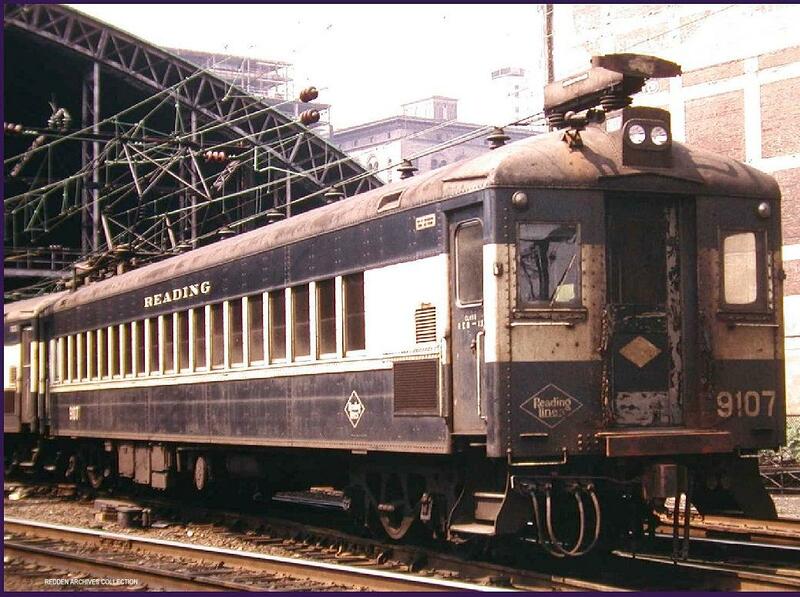 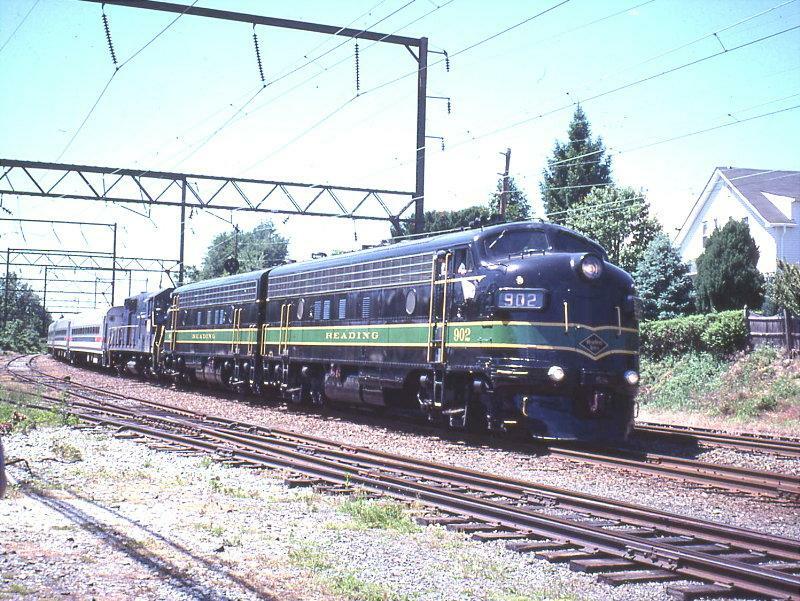 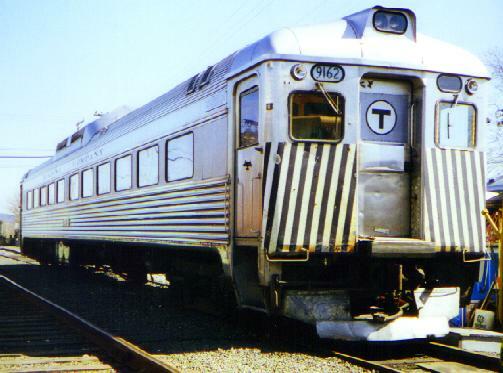 9168 built as RDC-3 for NYC (#M499); to PC (#98) 1968; to RDG (#9168) 1975; to SEPTA, rebuilt as RDC-1; to BM&R; to RBM&N (#9168), serviceable? 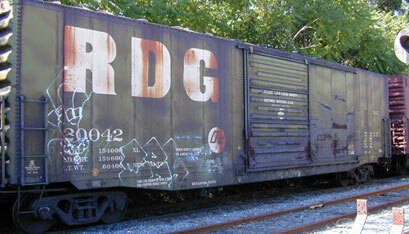 RDC-1 Budd ? 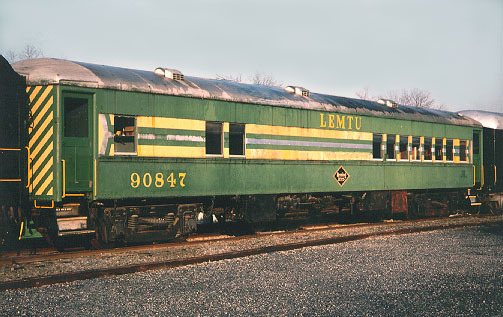 9169 to Green Bay Museum of Transport? 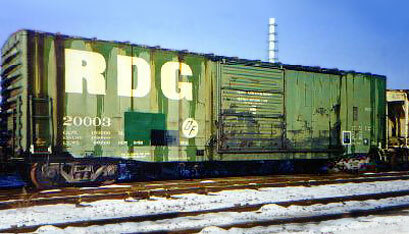 RDC-1 Budd ? 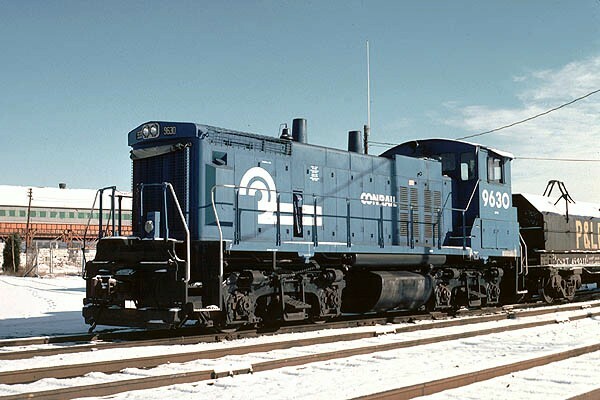 9170 to Alaska RR? 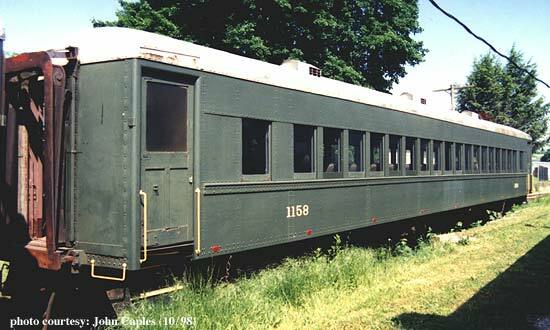 MU Trailer, ETe BSC 1925 783 built as 84-seat steel coach (#1163), rebuilt 88-seat MU trailer; to RTI; to Stewartstown RR, serviceable? 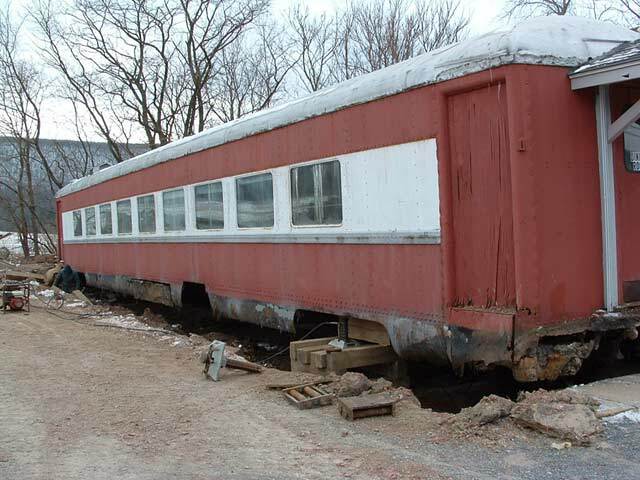 MU Trailer, EPa H&H 1931 805 part of motel, Wilkes-Barre, PA; to Olde Cloverleaf Village, Danville, PA unrestored, unserviceable? 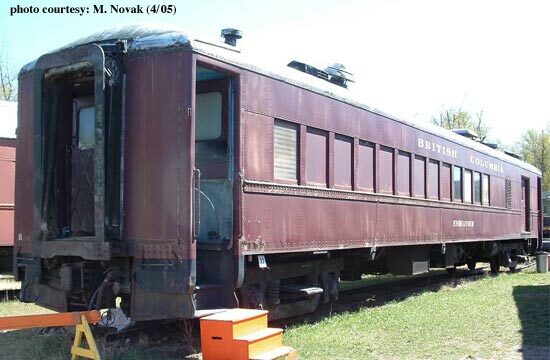 MU Trailer, EPb H&H 1932 9130 built as 80-seat steel coach, converted to MU trailer (#??? 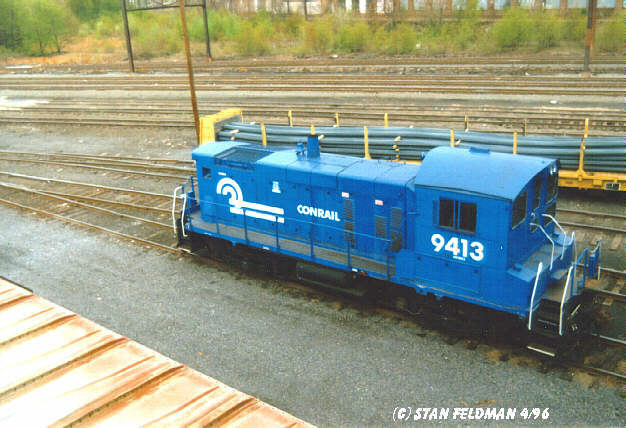 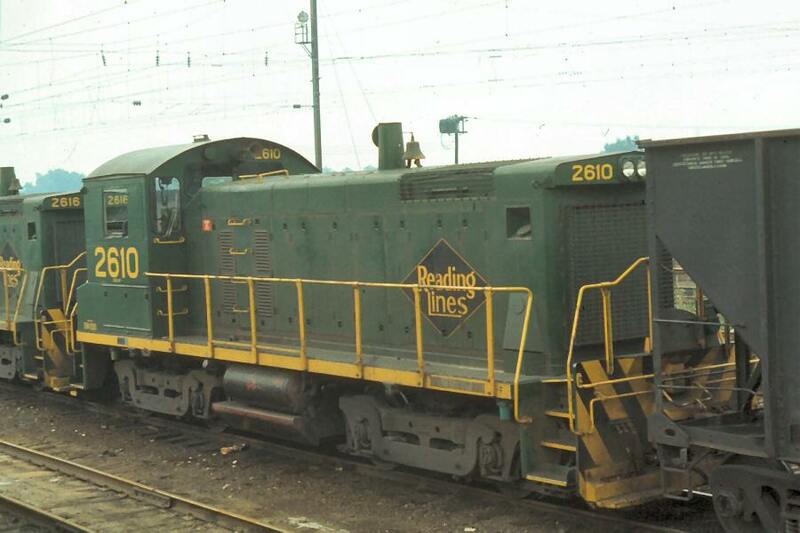 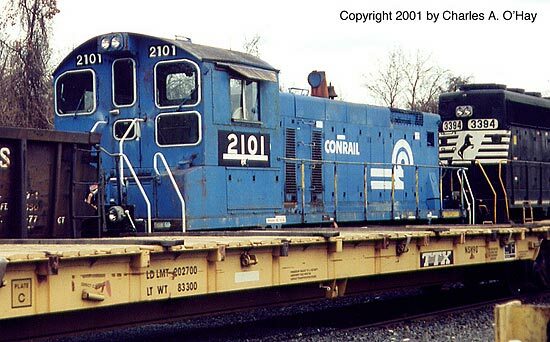 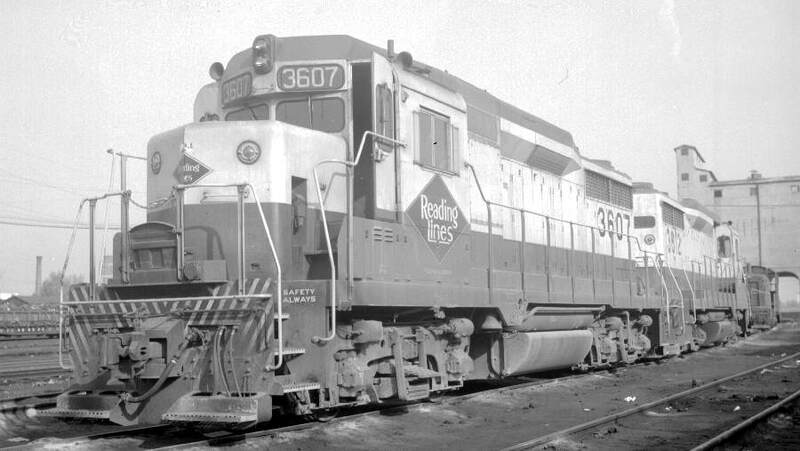 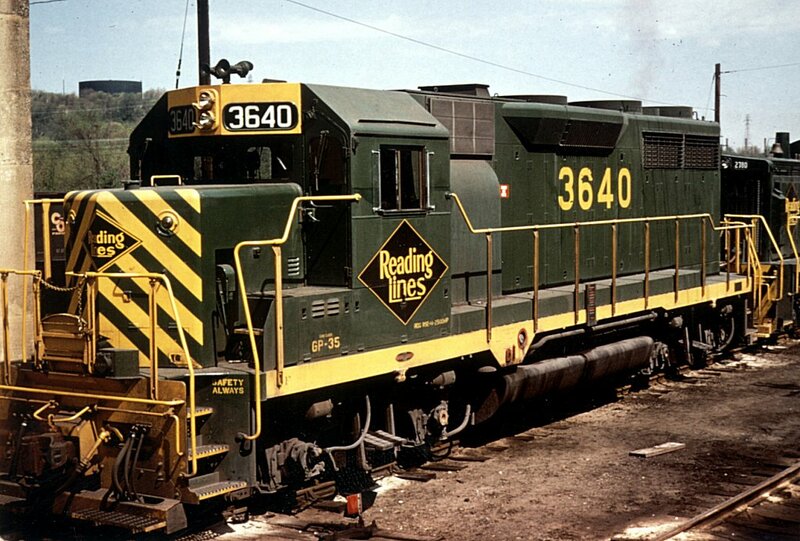 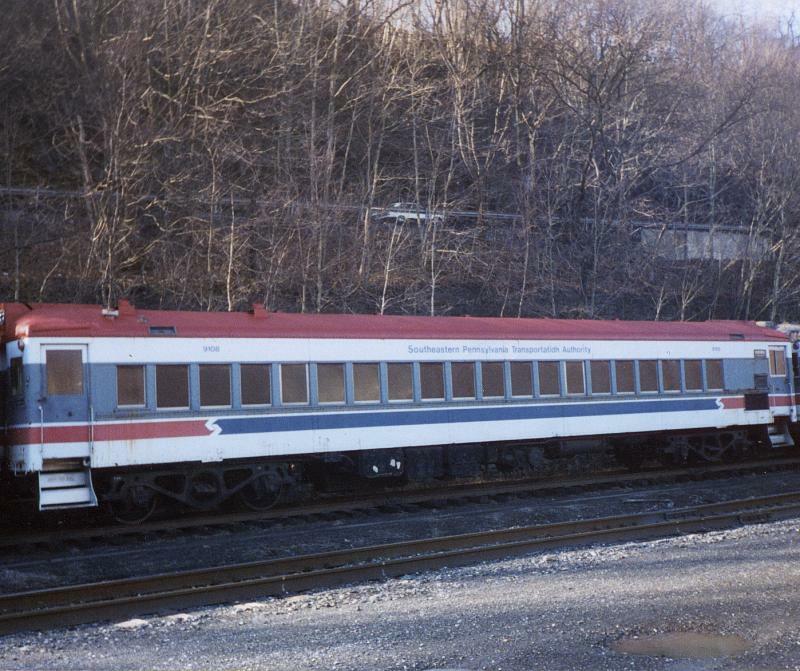 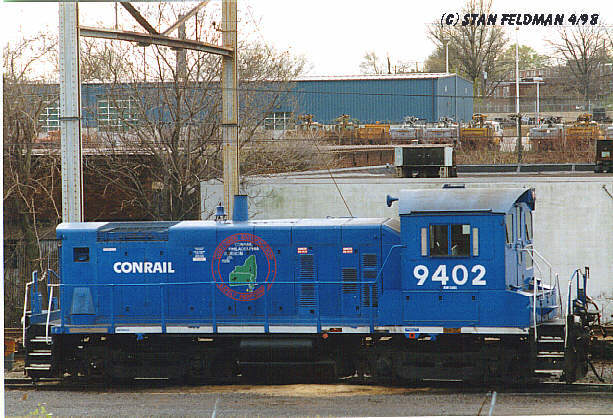 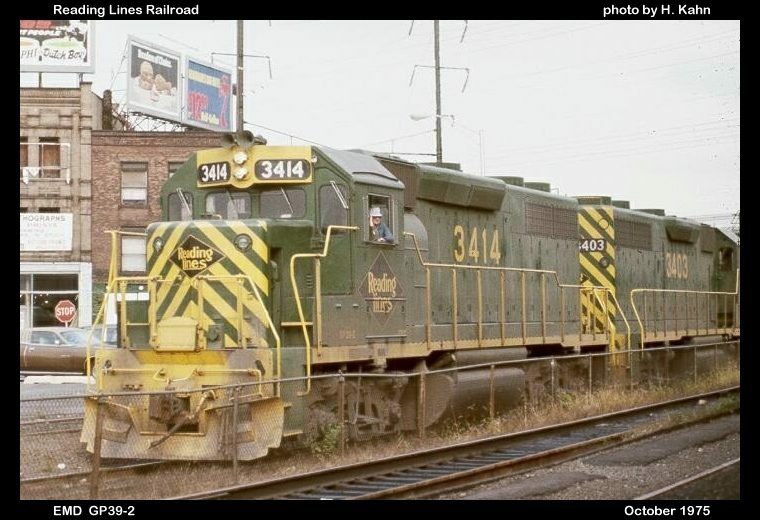 ), modernized to “Blueliner”; to SEPTA (#9130), stored unserviceable? 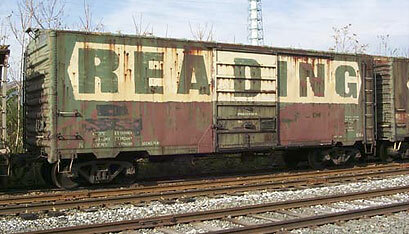 Baggage ? 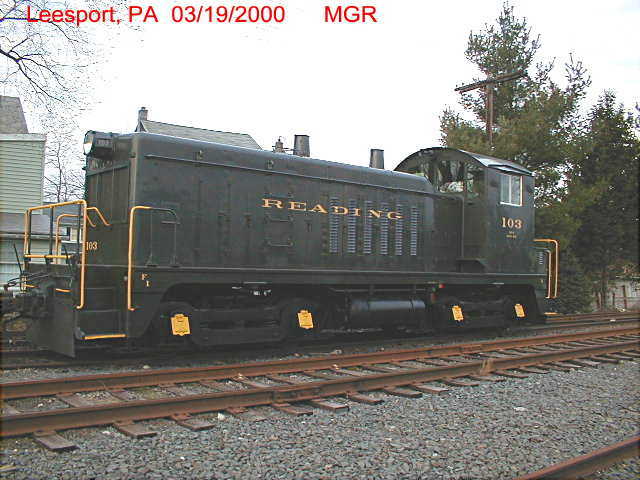 1905? ? 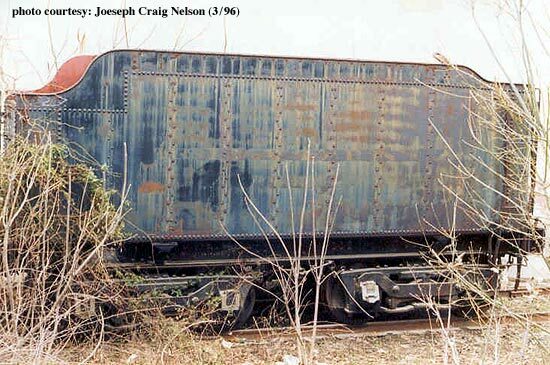 built as wood baggage for P&R, used on St. Clair wreck train as tool car; to RTI (#52? 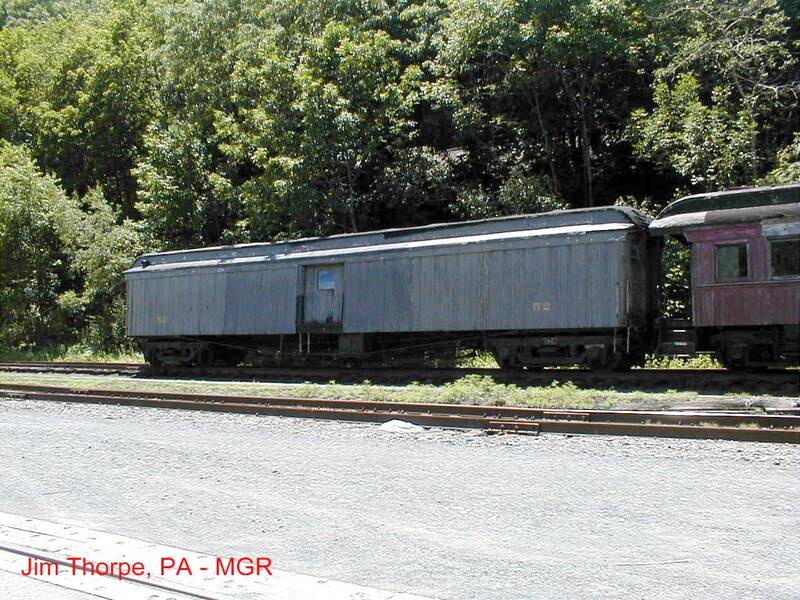 ), Jim Thorpe, PA, rebuilt by Strasburg RR in 1975, stored, current status? 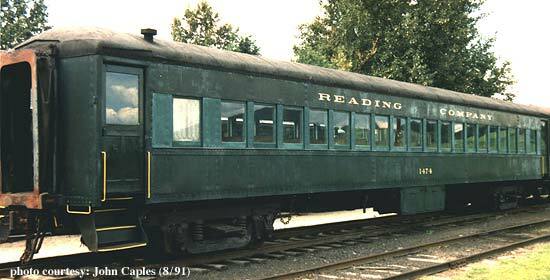 Baggage Express, BAa SSCC 1925 1756 built as baggage coach (400-series), converted to baggage-express; to RTI 1965, Jim Thorpe, PA, converted to tool car (#51), serviceable? 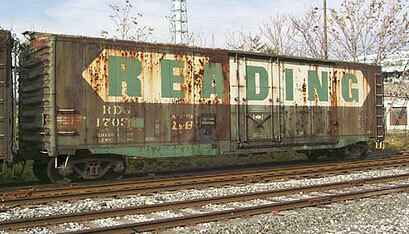 Café, DC PS? 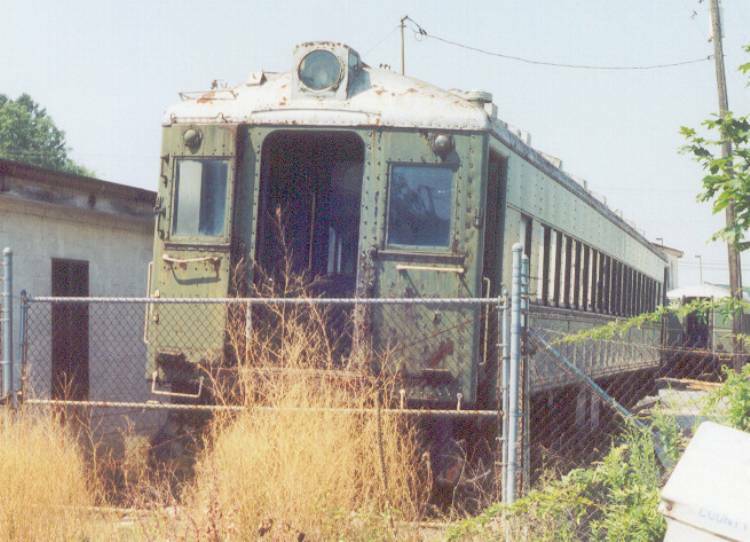 1186 used on Iron Horse Rambles; converted to restaurant, “Steak and Bagel Train,” Broad & Callowhill Sts., North Philadelphia, PA, currently vacant? 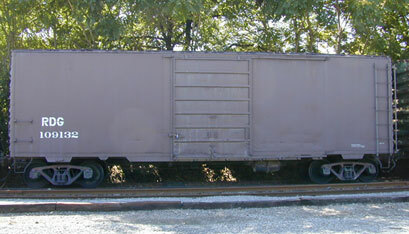 Coach ? 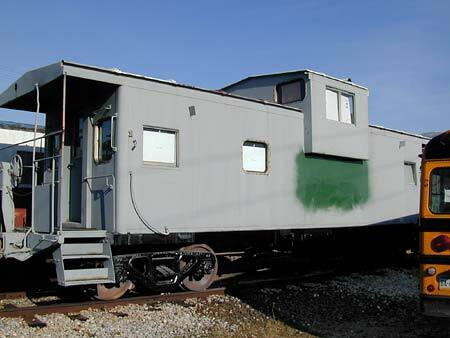 H&H 1910? 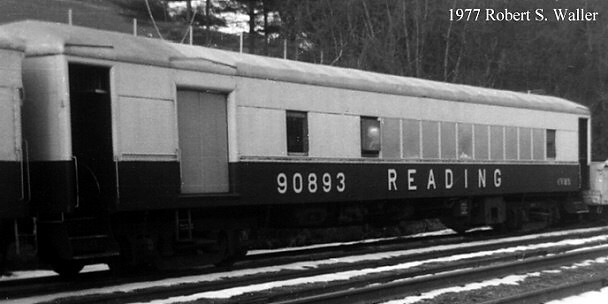 1016 built as wood day coach for P&R, converted to MOW bunk car (#90874) for use on Erie Ave. 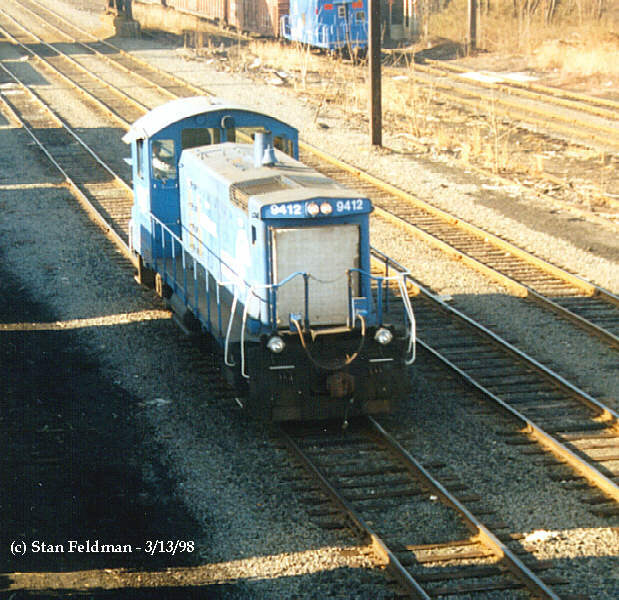 (Phila.) 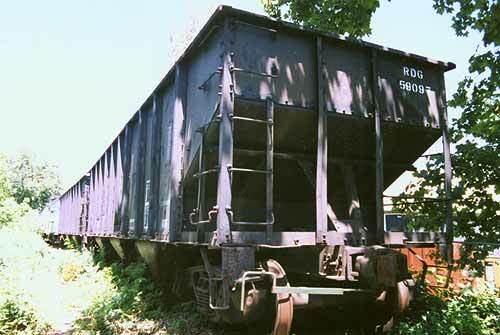 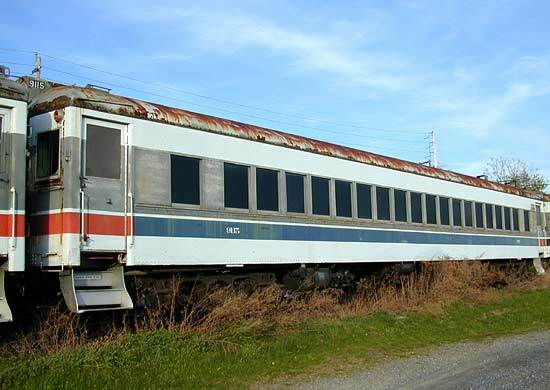 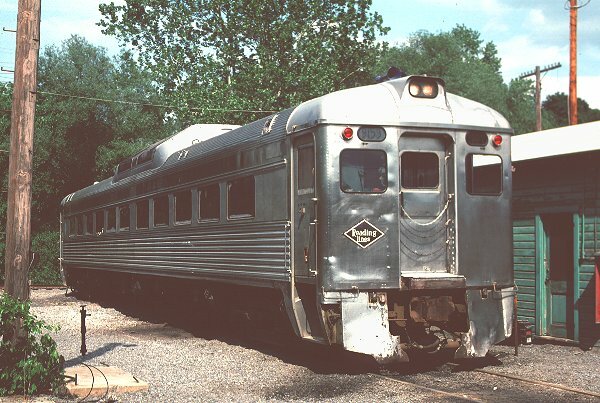 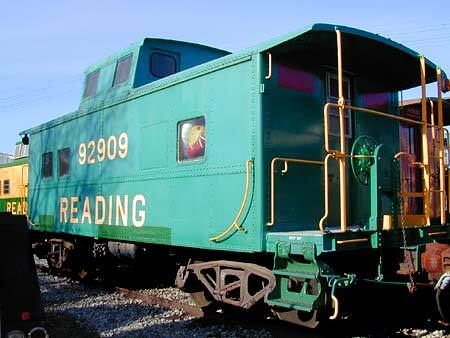 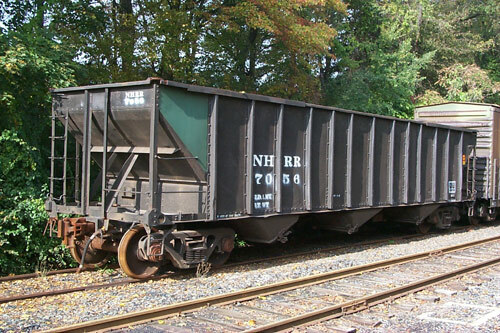 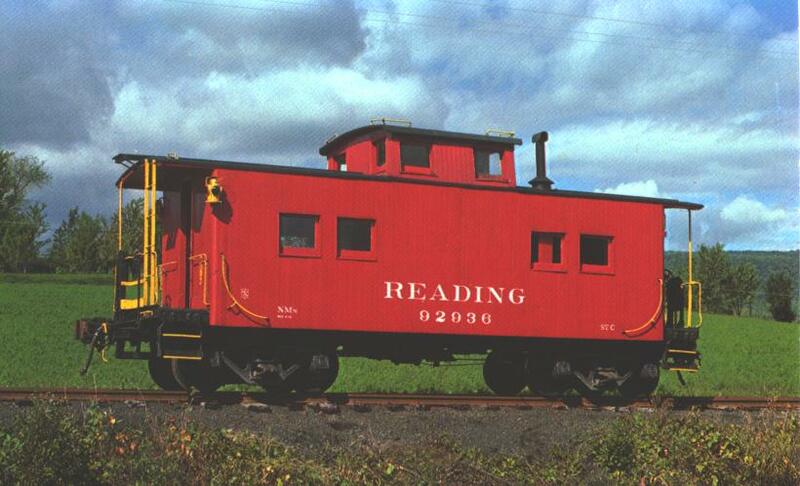 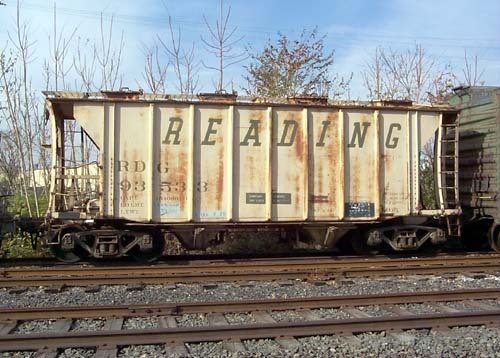 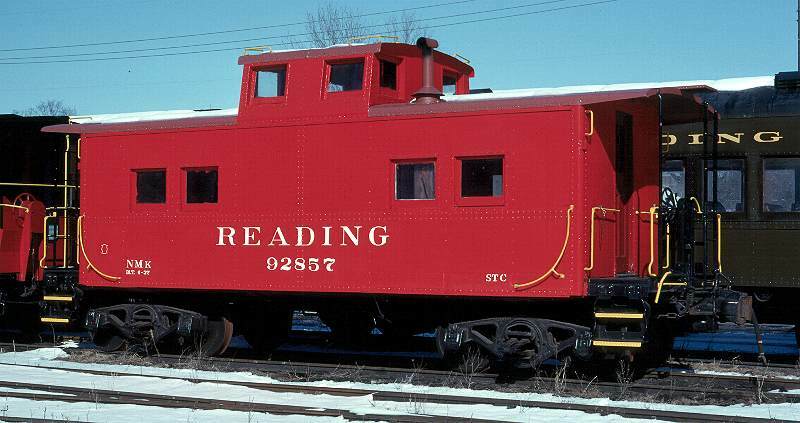 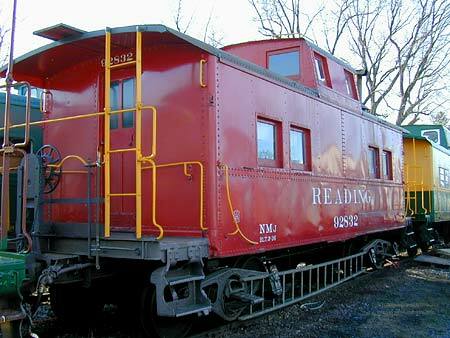 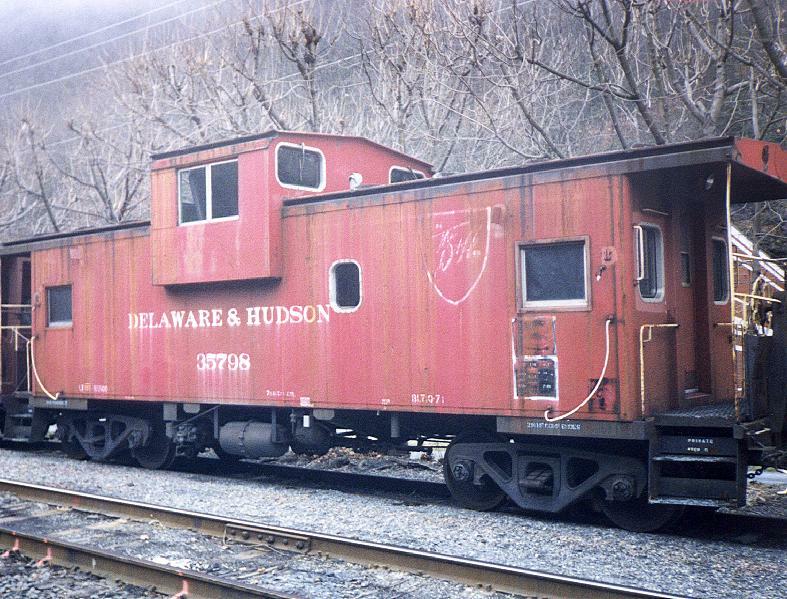 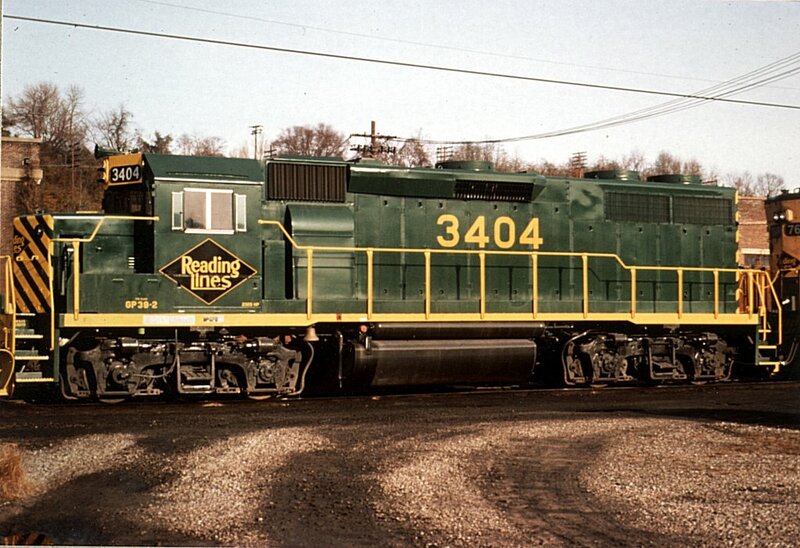 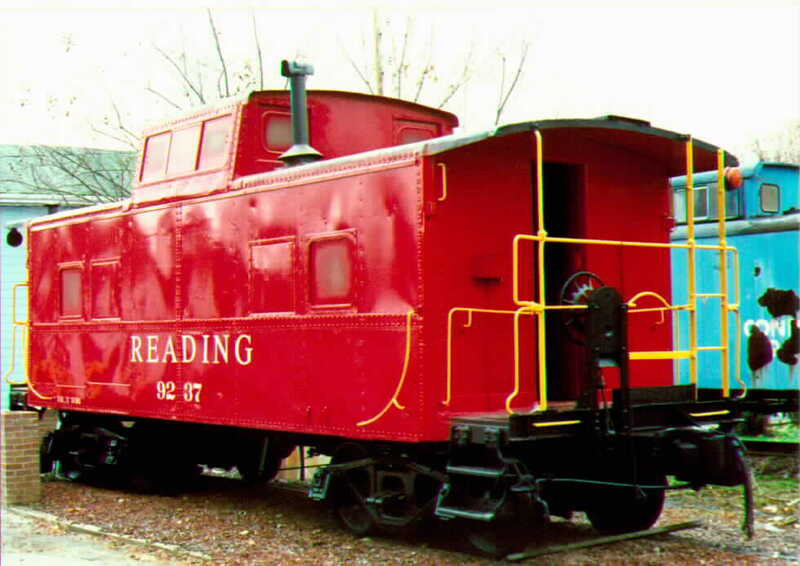 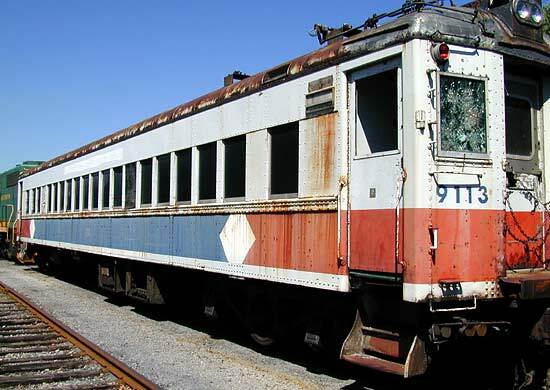 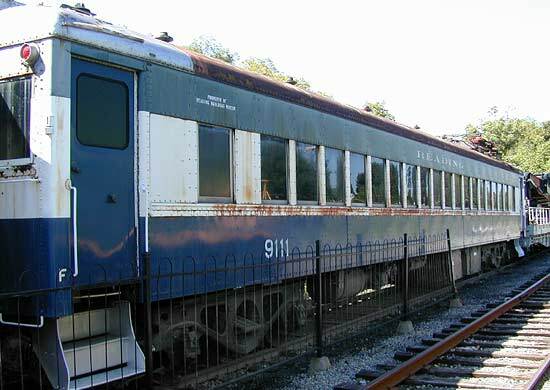 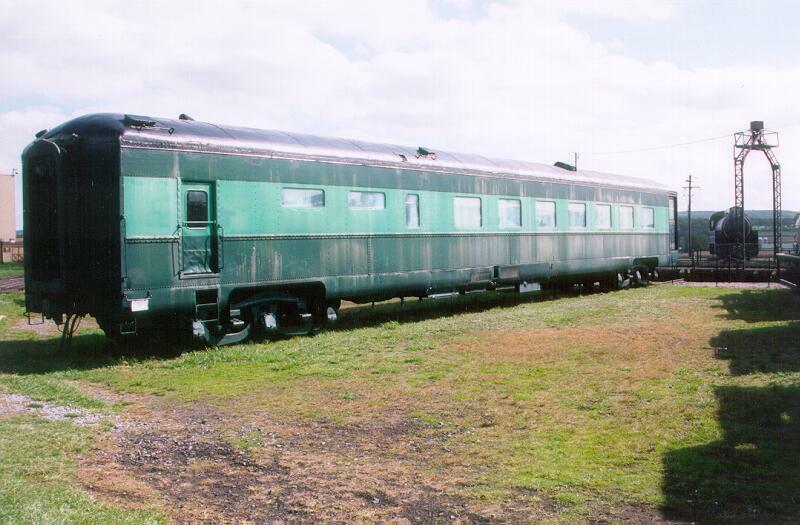 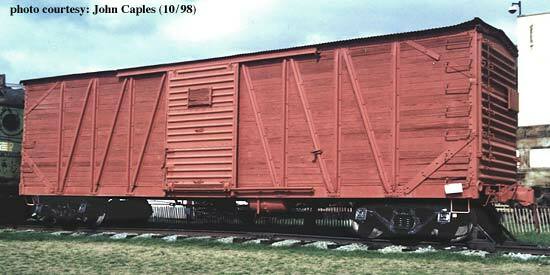 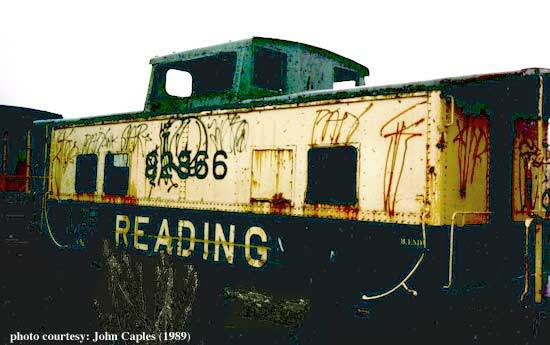 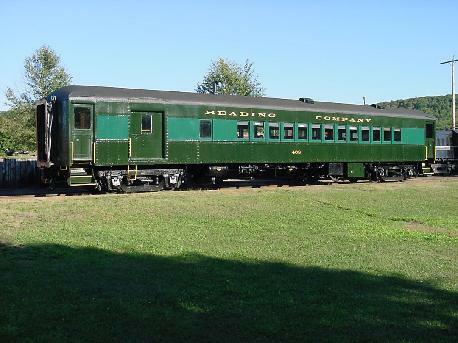 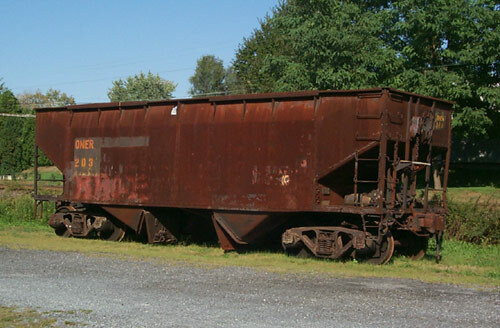 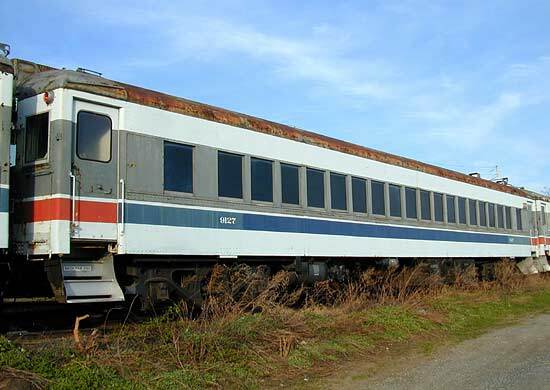 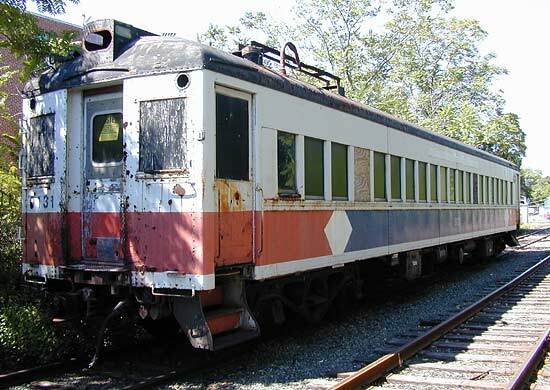 wreck train; to RTI (#25), Jim Thorpe, PA, in-use as yard office car, painted maroon, current status? 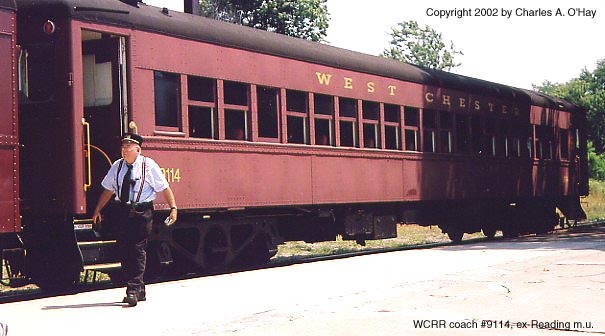 Coach ? 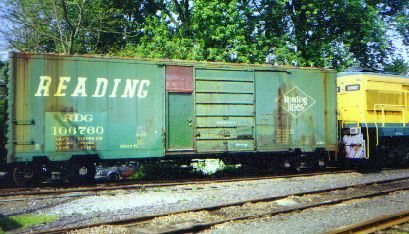 H&H 1910? 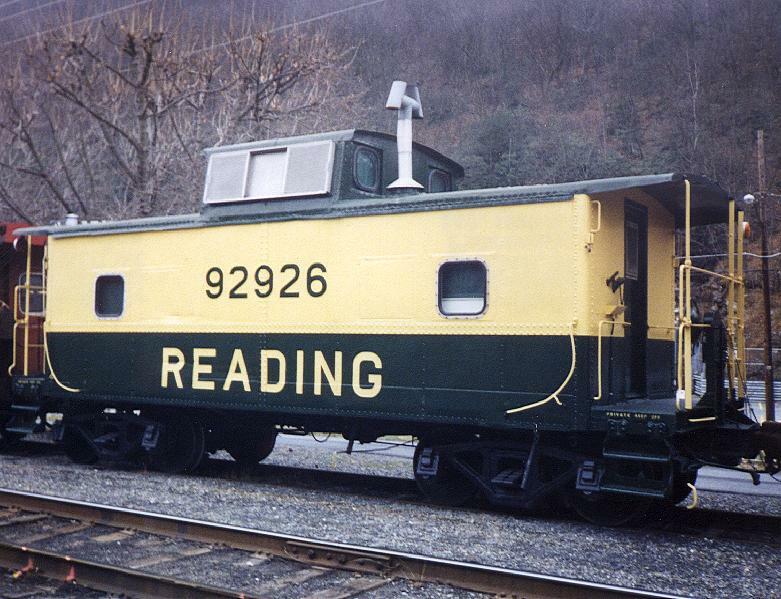 1023 built as wood day coach for P&R, converted to MOW bunk car (#92883) for use on Erie Ave. 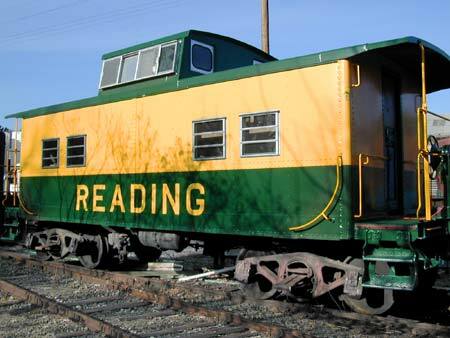 (Phila.) 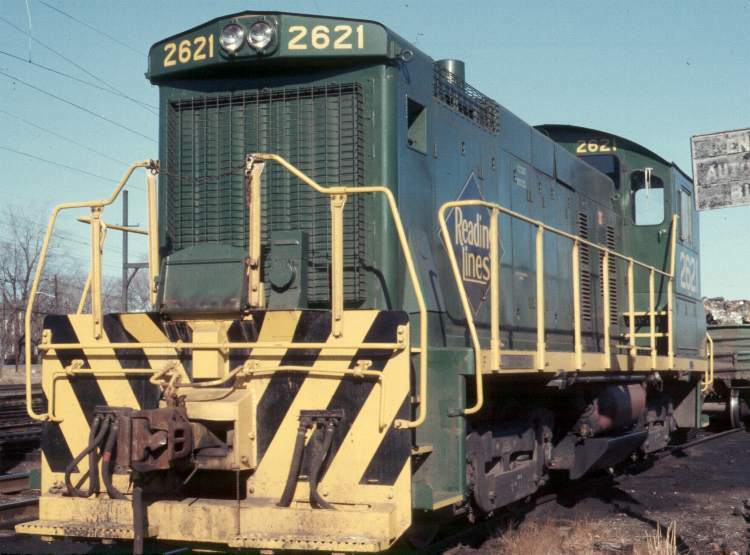 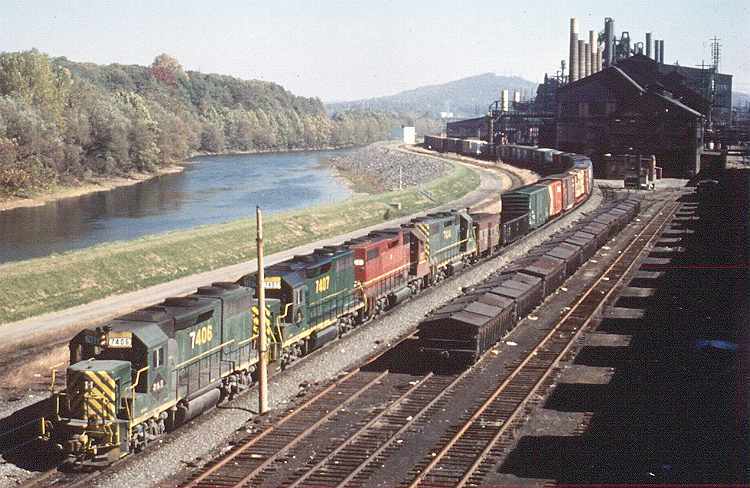 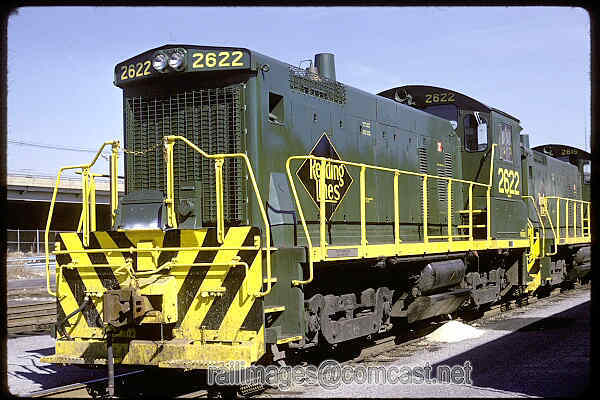 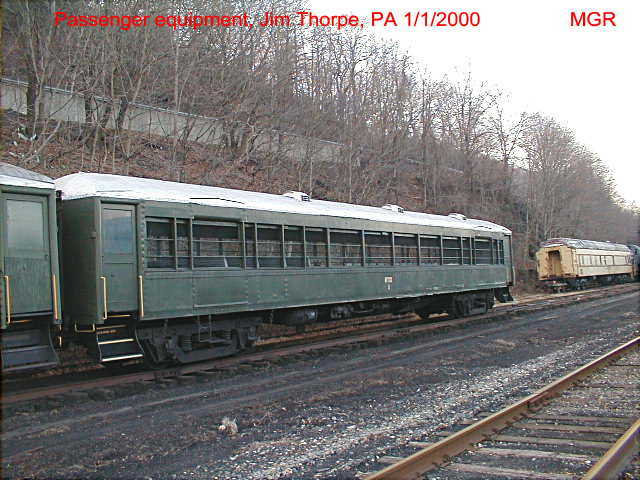 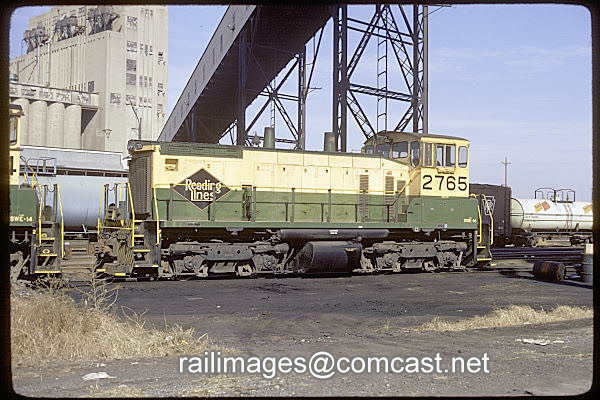 wreck train; to RTI (#27), Jim Thorpe, PA, painted dark green, stored, current status? 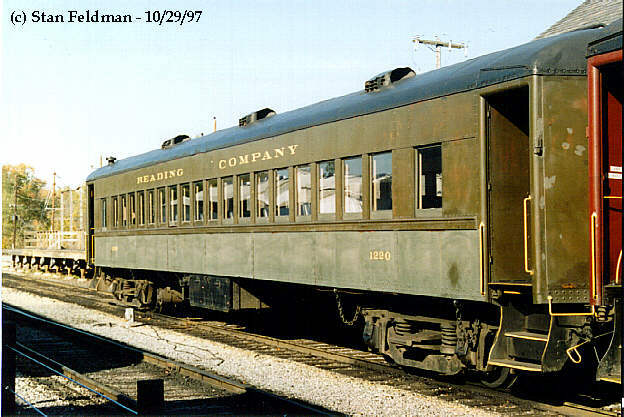 • SSCCStandard Steel Car Co. 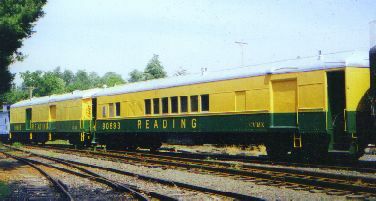 Cab., NMh 1931-32 92827 to West Shore Rail Excursions or Central PA Chapter NHRS? 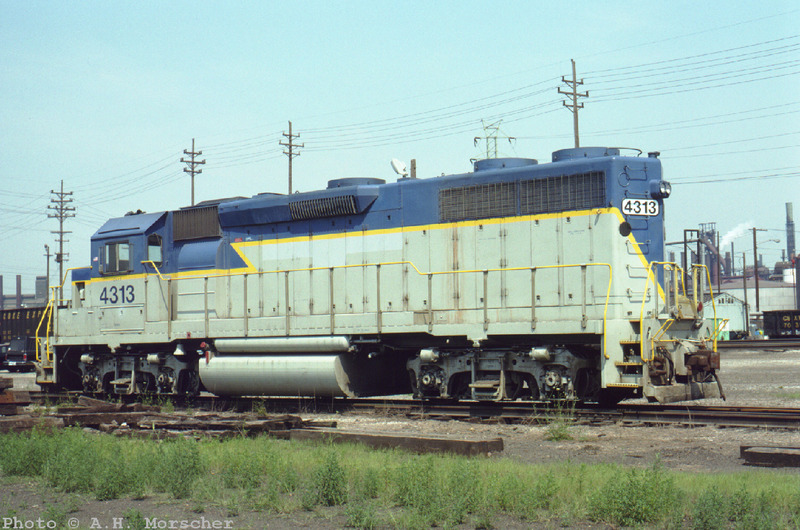 Cab., NMk ? 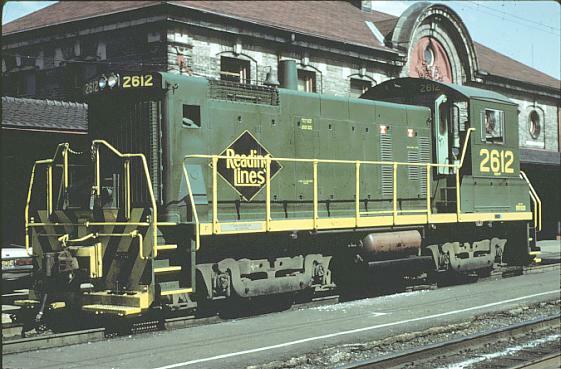 6/37 92857 to NH&I (#92857); to Penn Jersey Lines (#92857)? 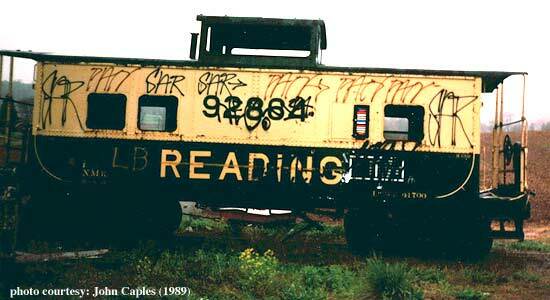 Cab., NMl ? 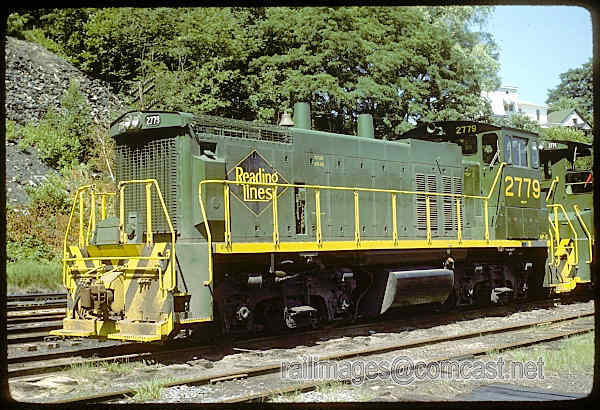 1941 92891 to CR (#18750); to Rich Hafer, New Freedom, PA restored, serviceable? 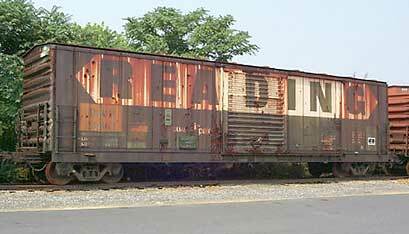 Cab., NMl ? 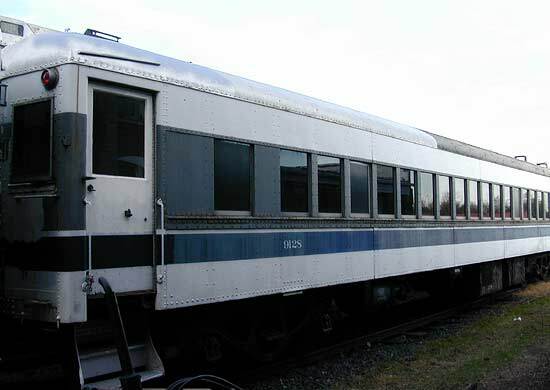 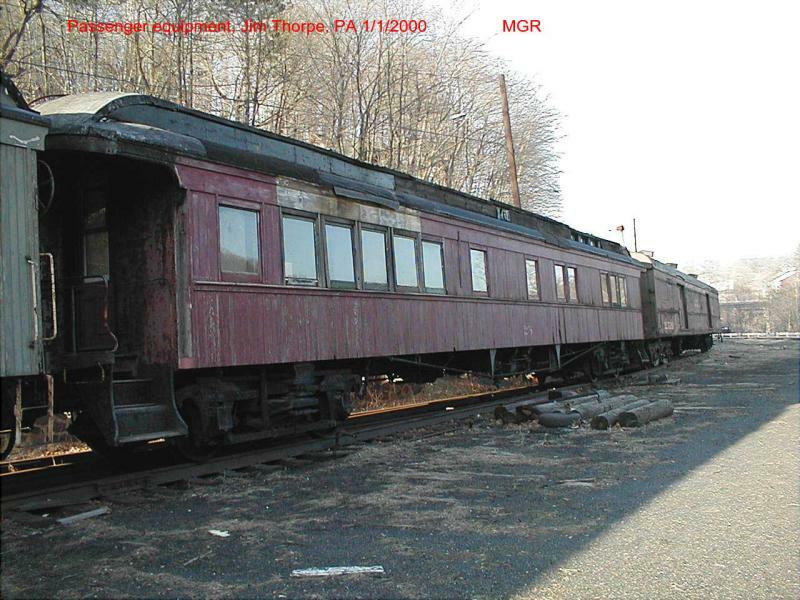 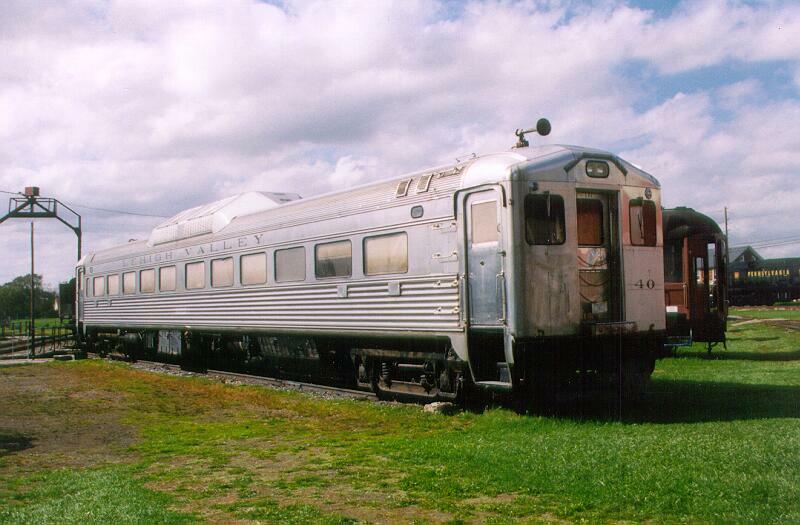 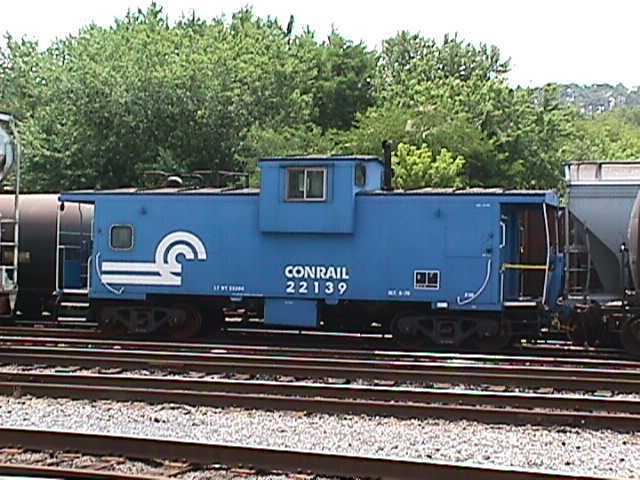 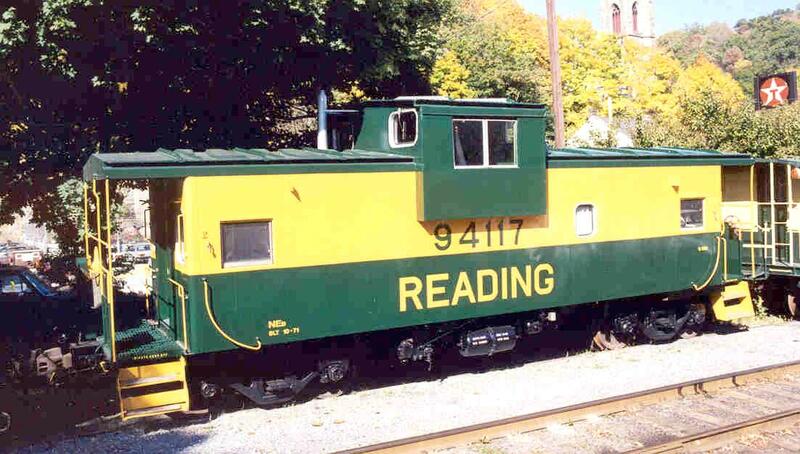 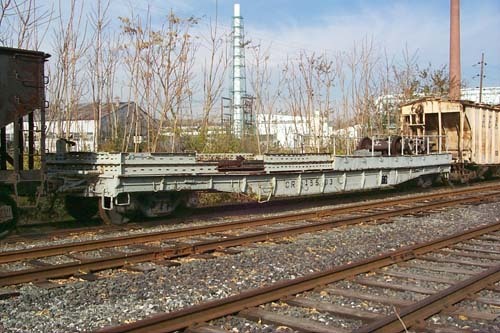 1941 92909 to CR; to RCT&HS, Leesport, PA undergoing restoration, serviceable? 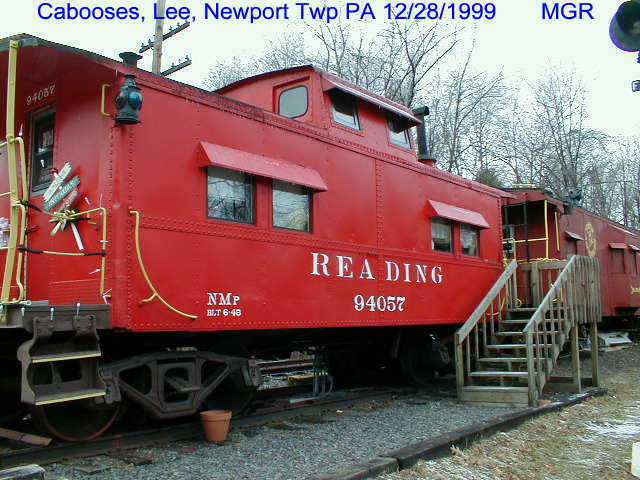 Cab., NMl ? 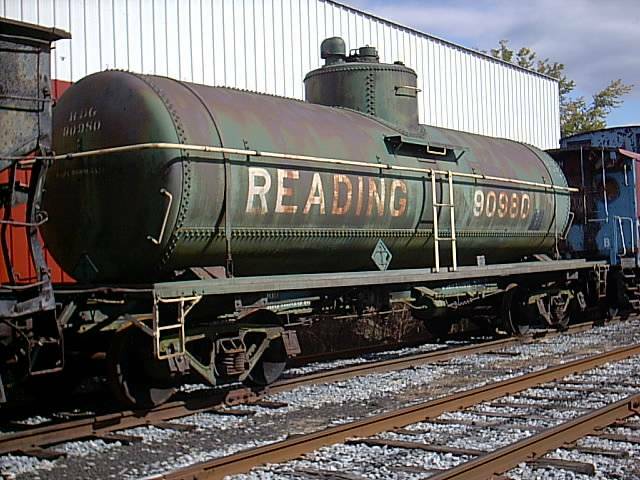 1941 92920 to CR; to Hagerstown Roundhouse Museum, Hagerstown, MD, unrestored? 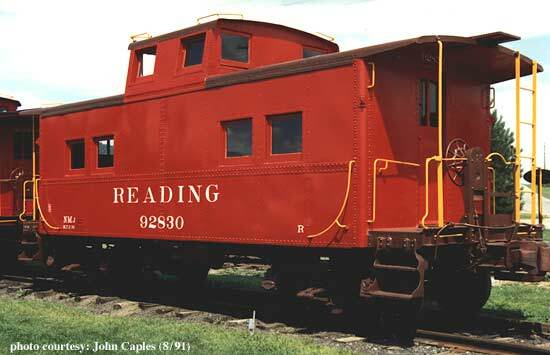 Cab., NMn ? 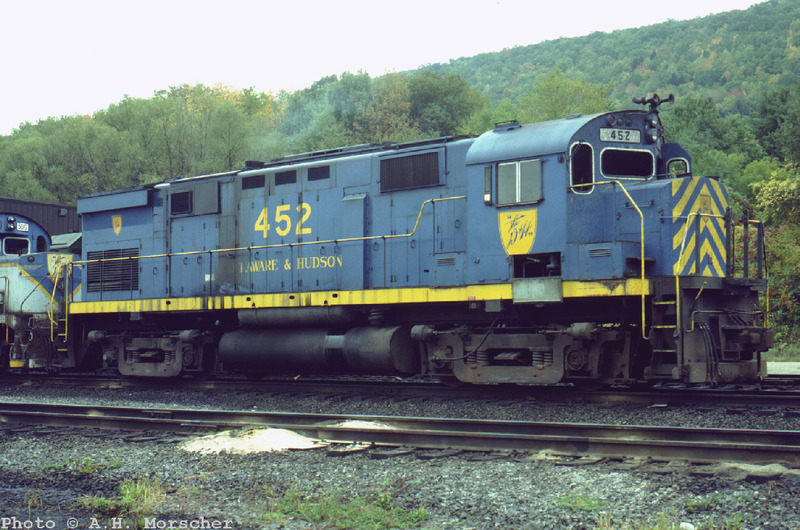 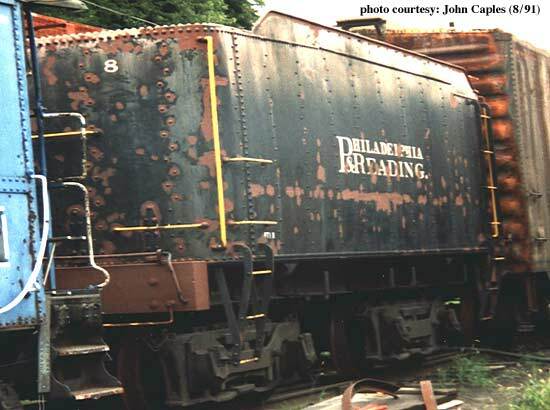 9/42 92948 wood; to RTI, Jim Thorpe, PA, stored derelict? 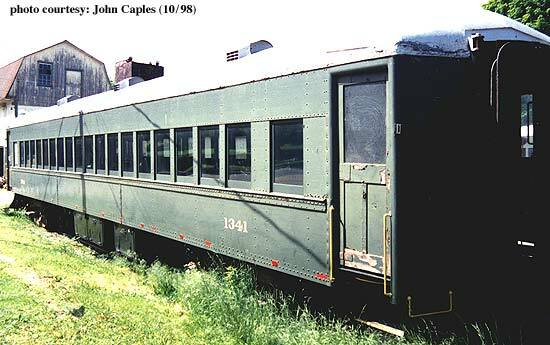 Cab., NMn ? 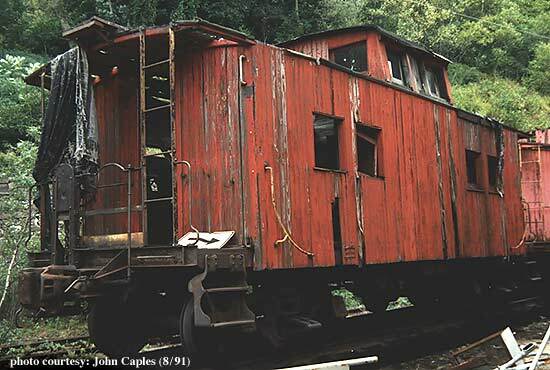 9/42 92973 wood; to RTI, Jim Thorpe, PA, stored derelict? 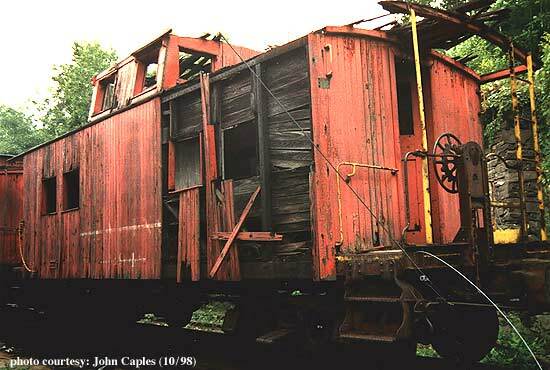 Cab., NMp ? 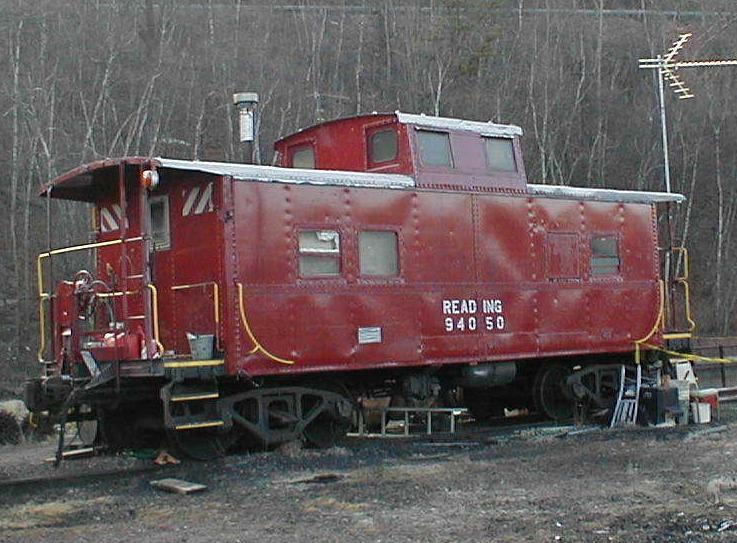 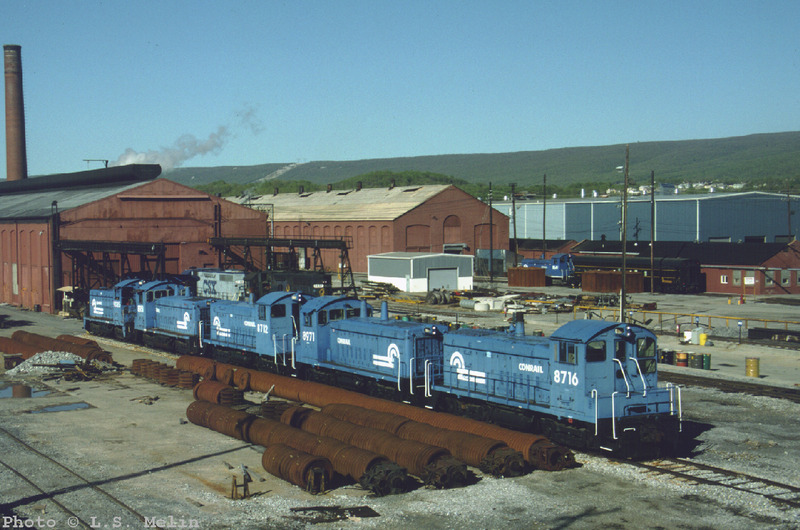 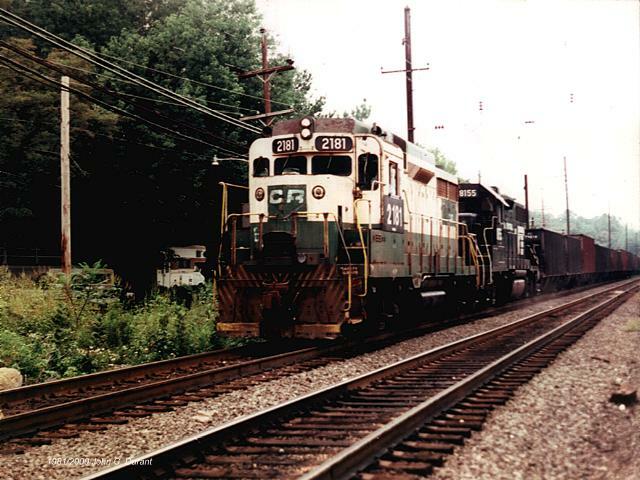 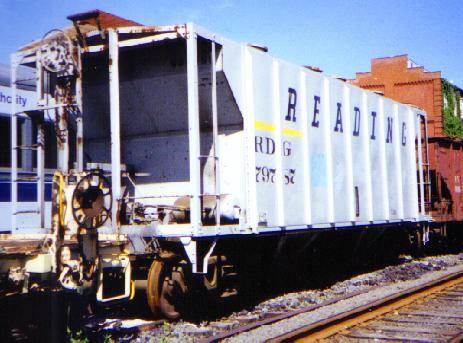 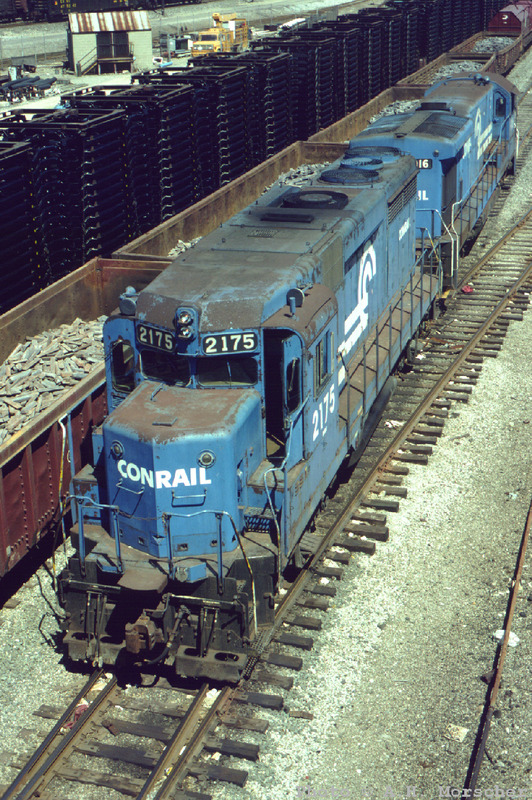 4/46 94050 to CR (#18848); to RTI, Jim Thorpe, PA, stored derelict? 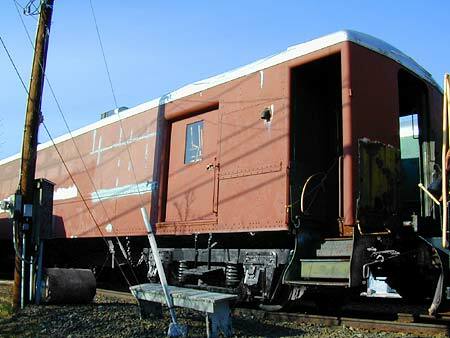 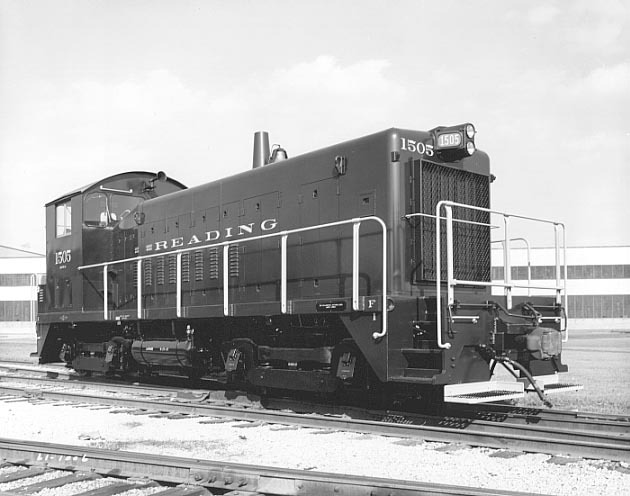 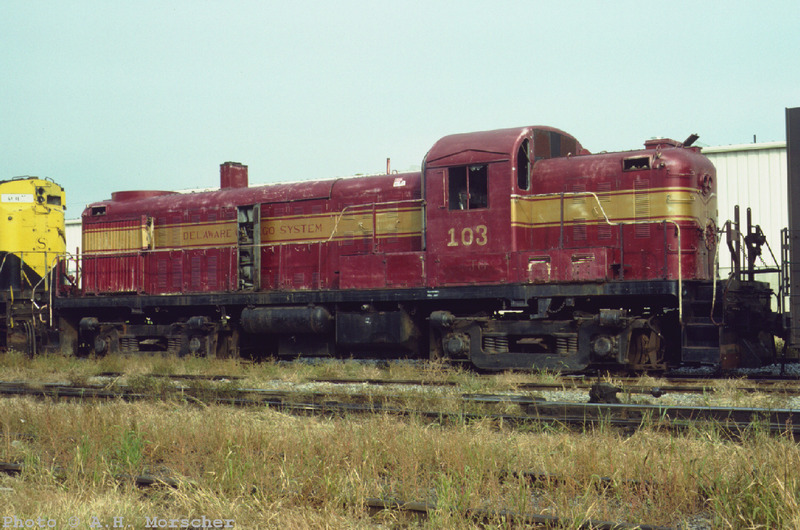 Cab., NEb ICC 10/71 94116 to D&H (#35797); to RCT&HS, Leesport, PA undergoing restoration, serviceable? 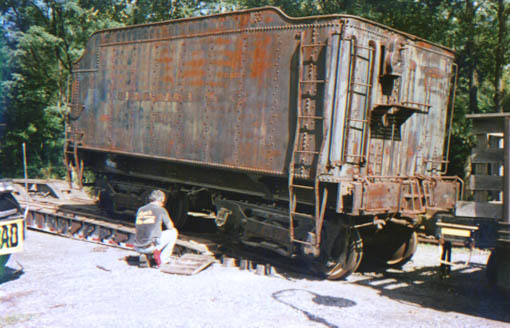 Scale Test Car ? ? 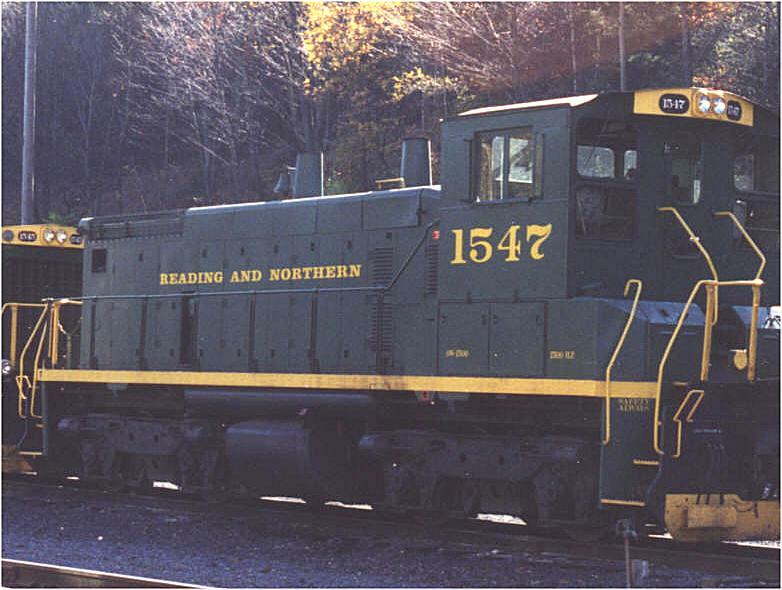 to CR (#80046); to NS, Northumberland, PA?